PDF: Jinhua Jia on Huihai, p. 61. Entering the Tao of Sudden Enlightenment : (& the Tsung Ching record) by Chan Master Ta-Chu Hui-Hai, translated by Dharma Master Lok To, edited by Dr. Frank G. French. Bronx, N.Y. : Sutra Translation Committee of the United States and Canada, 1995. Practice and Attain Sudden Enlightenment : by Ch'an Master Ch'an Yuan, translated by Dharma Master Lok To, edited by Dr. Frank G. French. Bronx, N.Y. : Sutra Translation Committee of the United States and Canada, 1996. The practice of the Dharma of Ch'an can be said to be either very easy or to be very difficult. To say that it is easy means that to abandon everything is easy. To say that it is diffcult means that to abandon everything is diffcult. Knowing this, and since Dharma is Mind and Mind is Buddha, Ch'an Master Ta-Chu Hui-Hai (Eighth Century A.D.) answered many questions put to him by Dharma masters of different sects. All his answers, according to their questions, directly pointed out that the Wonderful Dharma is Mind. Thus, he used words to silence all words. From ancient times to the present, many people have practiced the Dharma of the Supreme Vehicle. And many of them have understood their own Mind, have seen their own Nature and have attained the Great Enlightenment. Even during this present Dharma-ending age, there are still some people of the highest potential, with sharp wisdom, who concentrate on the practice of the Dharma of Ch'an; and so some people, even in our time, arrive at the highest stage. However, there are so many other people who cannot pass through the doorway of the Dharma. Some Ch'an masters teach their students to investigate "Hua-T'ou" in a Ch'an T'ang (Ch'an Hall), but they do not understand the meaning of Hua-T'ou, nor do they know how to observe their own Mind; thus, these students only read about Hua-T'ou or talk about Hua-T'ou, never really experiencing it. If one investigates in this manner, one will never, until the year of the donkey, attain Enlightenment. The meaning of Hua-T'ou precedes words and thinking and speaking. Prior to the arising of a single thought is Hua-T'ou. After the arising of a single thought is "Hua-Wei" (lit., a word-tail). What, then, exists before the rising up of a single thought? It is just "without thought". This "without thought" is one's Original Face before birth. If one practices in this manner and with this awareness, analyzing everything diligently, then he is travelling the authentically correct path of Ch'an. 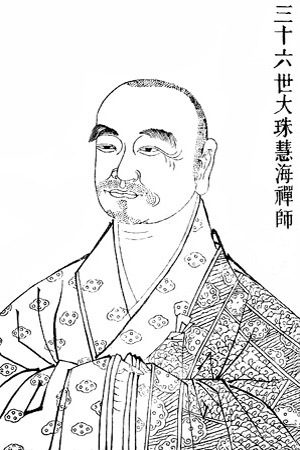 In our time, many people think they are investigating Ch'an deeply, but actually they are only "dabbling" in it, since they do not want and make no effort to understand the principles of the Dharma, do not want to repent their karma, do not want to rid themselves of bad habits, and do not want and make no effort to abandon all things. On the contrary, they seek only instant enlightenment and have no foundation or preparation. This is like climbing a tree to catch fish or trying to enter a castle in the sky. It is just impossible to succeed! We are worldly people in a poor land; and even though we have a few good roots and cultivate a few blessings in the Buddhadharma, nevertheless our karma and defilements are still deep and heavy. Even though our bodies and minds are encrusted with and burdened by ignorance, karma and defilements, we, nevertheless, wish for quick, speedy enlightenment. This is absolutely the most erroneous kind of thinking! It is just like a person who carries a very heavy burden, but who tries to walk fast to get ahead of others -- it's really impossible! One must construct a high building from the ground up! All sentient beings in this Dharma-ending age have shallow roots and poor potential; therefore, we must practice going from shallow to deep and from gradual to sudden in our quest for Enlightenment. In actual fact, our minds and outward circumstances are originally irrelevant, but people grasp at and cling to outside things, disturbing their minds, which then become the source of defilement. This kind of trouble is a heavy load for everybody, so we must abandon all of it; otherwise we can never attain Enlightenment. The Ancient Virtuous One said: "If you hold not one single thought about anything whatsoever, it matters not what surrounds you. An iron ox never fears the lion's roar, nor does a wooden man enjoy looking at birds and flowers." Just keep this in mind! Because of these obstacles to Enlightenment, one who practices Ch'an must put a stop to all kinds of conditions and eliminate all sorts of things -- good and evil, right and wrong, self and others, mundane and supramundane. He must abandon both the body and the mind, thinking of nothing whatsoever, letting his mind go free. If one is not bound by seeing, hearing, feeling and knowing and if one is not deluded by circumstances, then, and only then, can he truly practice Ch'an. The Ch'an practicer should understand that past things are already past. If you do not think about it, then any thought of the past vanishes; thus, there are neither any past things nor any past mind. Furthermore, future things have not yet arrived; so if you do not wish for or seek anything, then any thought of the future vanishes; thus, there are neither any future things nor any future mind. Finally, present things are already present, so if you are just aware without grasping at or dwelling on anything and never let a thought of love or hate arise, then the thought of the present vanishes; thus, there are neither any present things nor any present mind. If you can understand the mind without being fixed anywhere or on anything, if you can just generate pure thought, neither grasping at anything nor dwelling anywhere -- that is seeing one's own Original Mind; that is seeing one's own Original Nature. When you practice Ch'an, sit in the lotus position, close your eyes, keep your body erect and allow your mind to become clear and still. Abandon any thoughts of good or evil. When thoughts do arise, just observe each thought carefully and become aware whence it arises. Then you can become aware of false thought as it suddenly arises and suddenly dies away, as it comes and goes, never stopping for one instant. However, you, the practicer, should have patience and just be observant; then you will gain insight into the fact that such false thought has no self-nature and is originally void. You should have no impulse to follow false thought anywhere nor hold any idea about getting rid of it. Then, gradually, false thought becomes illuminated by your own mind and is suddenly stilled. Also, even if more false thought continues to arise, you should, nevertheless, still use this method: just perceive whence it arises, and do not follow it or try to get rid of it. In time, as the observer becomes very skillful, false thought gradually falls away until, without a single thought arising, there remains only still, clear voidness. While walking, standing, sitting and lying down, always practice in this manner; then you can experience "Ch'an Ting" and easily attain Enlightenment. When you let go of the dualistic idea of subject and object, then "the sound of discussion ceases and the role of thought is ended." Then, and only then, "the mouth desires to speak, but without words; the mind desires conditions, but without thought." It is just like one who drinks water; he alone knows whether it is hot or cold. It cannot be expressed in words or speech. Such is Sudden Enlightenment! All practicers of Ch'an should persevere and make a determined effort to investigate! Dunwu rudao yaomen lun 頓悟入道要門論 (Essentials for Entering the Way Through Sudden Awakening), a composite work consisting of a treatise attributed to Dazhu Huihai plus a biography and a record of Huihai's sayings (lifted from the Jingde chuandenglu) known as Zhufang menren canwen yulu 諸方門人參問語錄 (Record of Questions Asked by Students Visiting from All Quarters) (X. 1224, 27c23-28a02). First published by 妙叶 Miaoxie in 1374. I, the disciple Hui-Hai, humbly bow before all Bodhisattvas in the ten directions. Even though I have written this thesis, I fear that it does not correspond to holy thought. If this is so, I hope that all Buddhas and Bodhisattvas in the ten directions will give me a chance to repent. However, if the treatise tallies with the holy doctrines, then I desire that all merit acquired therefrom be returned and contributed to all sentient beings; and I wish all of them to become Buddhas in the future. Q: What method must be practiced to attain liberation? A: Only by practicing the Dharma of Sudden Enlightenment can we attain liberation. Q: What is Sudden Enlightenment? A: "Sudden" means instantly stopping false thought. "Enlightenment" means [awareness] that one attains nothing. Q: What method is used to begin this practice? A: Just practice using the fundamental teaching. Q: What is it and how does one practice using the fundamental teaching? A: Mind is the fundamental source. Q: How do you know that mind is the fundamental source? A: The Lankavatara Sutra says: "When the mind comes into being, then various conceptions (dharmas) come to be; and when the mind ceases to be, then these various conceptions cease to be." The Vimalakirti Nirdesa Sutra says: "If you wish to attain the Pure Land, you should purify your own mind, because if your mind is pure, all Buddha-Lands are also pure." The Sutra of Transforming Teaching says: "Just concentrate the mind on one point and all things are achieved." Another sutra says: "The holy person seeks Mind and does not seek Budha. The foolish man seeks Buddha and does not seek Mind. The wise man regulates the mind and does not regulate the body, while the foolish man regulates the body but does not regulate the mind." The Sutra of the Buddha's Names says: "The evil arising from the mind can be extinguished only by the mind." Thus, we see that all good and evil arise from one's own mind and that the mind itself is the fundamental source. Therefore, if one wishes to seek liberation, he should recognize this fundamental source. On the other hand, if one does not understand this truth, he will seek liberation outside himself, always laboring in vain. The Dhyanaparamita Sutra says: "As long as you seek it from external forms, you cannot come to complete Enlightenment even after many kalpas. However, through perceptive insight Bodhi is suddenly attained." Q: How is the fundamental Dharma to be practiced? A: Only through meditation and dhyana contemplation in samadhi. The Dhyanaparamita Sutra says: "To seek the wisdom of Buddha, you need both dhyana and contemplation. Without dhyana and contemplation together, thought will be disordered and break the root of goodness." Q: What is dhyana and what is contemplation? A: The non-arising of a single thought is dhyana. The original nature is your increate Mind. Contemplation in samadhi happens when opposites and external objects do not cause a single thought to arise. In contemplation (samadhi), the mind cannot be moved by the so-called eight winds: benefit and loss; fame and ignominy; praise and ridicule; suffering and happiness. If only one can abide in this kind of contemplation, then, even though he is a worldly person, he, nevertheless, can enter Buddhahood. The Sutra of Bodhisattva Discipline says: "All sentient beings who receive the discipline of the Buddha thus assume the position of all Buddhas." Achieving this state is called "liberation". It is also described as arriving on the other shore by leaping over the three realms of samsara ... Such a one is a great, powerful Bodhisattva with immeasurable sway and influence as well as a conqueror of all obstacles. Q: Where does the mind dwell in its real abode? A: Dwelling nowhere is its real abode. Q: What is dwelling nowhere? A: It is the mind not dwelling anywhere or on anything. Q: What does "not dwelling anywhere or on anything" mean? A: Not to dwell anywhere or on anything means not to dwell on good or evil, existence or non-existence, within or without or on the middle, nor on concentration nor dispersion, and neither to dwell on the void nor on the non-void. This is the meaning of "not dwelling anywhere or on anything". Just this alone is real abiding. This stage of achievement is also the non-abiding Mind, and the non-abiding Mind is the Buddha Mind. Q: What is the non-abiding Mind like? A: The non-abiding Mind is not green, yellow, red or white. It is not long or short, nor does it come or go. It is not pure or impure, nor does it have birth or death. It is only deep and permanent stillness. This is the non-abiding Mind, which is also called the Original Body. The Original Body is the Buddha's Body, which is also called the Dharmakaya. Q: In perception through body and mind, are there several forms, such as eye perception, ear perception, nose perception, body perception, mind perception, etc.? A: No, there are not several forms like these. Q: If there are not several ways of perceiving, what, then, is perception? A: This so-called "perception" is one's own Nature. One's own Nature, originally pure and clean, deep and still, is, in fact, in its voidness, perception. Q: Since this pure, clean "substance" cannot be located, where does perception come from? A: It is like a great, bright mirror that, even though it has no images inside it, can perceive and reflect all kinds of shadows. It is just utterly void no-mind. If the mind of the practicer does not grasp anything, then false thought will not arise; and the ego and its objects will vanish. Then the mind would naturally be pure and clean because it would be one with the pure and clean perception of void Original Nature. The Dharmapada Sutra says: "Perception manifesting itself in the Absolute Void -- this is the learned master." Q: What is the meaning of the sentence in "The Diamond-Body Chapter" of The Mahaparinirvana Sutra, which goes as follows: "To perceive nothing -- neither not knowing nor without not knowing -- this only is clear perception"? A: To perceive nothing describes the Self-Nature, which is without shape and so cannot be grasped; therefore, it is described as perceiving nothing. Also, because it is deep and still, it cannot be grasped. It neither comes nor goes; it is not separate from worldly concerns, but neither do worldly concerns disturb it. "Clear perception" means being fully at ease. "Not-knowing" means the Self-Nature has no shape and is non-discriminating. "Without not-knowing" means that the "substance" of non-discrimination has as many functions as the numberless sandgrains in the Ganges River and can discriminate all things clearly. The Prajna Gatha says: "Unknowing, Prajna knows all; unseeing, Prajna sees all." Q: One sutra says: "To perceive neither existence nor non-existence is real liberation." What does this mean? A: Attaining pure Mind is known as perceiving existence, while no thought of pure Mind arising at that time is known as not perceiving existence. Furthermore, when the stage of no continuation is attained, no thought of no birth and no continuation should arise. This is known as not seeing anything as existent or as non-existent. The Surangama Sutra says: "Intellect acts as the knower, and this is the root of your ignorance; but if it is free from perception, it will be Nirvana, which is also known as Liberation. " Q: What does "There is no object to perceive" mean? A: To see men and women and all objects and not let a single thought of love or hate relative to any of them arise -- as if they were not beheld at all -- is the meaning of "There is no object to perceive". Q: Regarding all objects is called perception, so can not perceiving any object whatsoever still be called perception? A: Yes, it is still called perception. Q: When regarding objects, we perceive them as existing; so how can there be any perception at all if there are no existent objects to be perceived? A: Perception does not depend on the existence or non-existence of objects. The nature of perception is permanent. For example, to behold an object is seeing, but even without an object, seeing remains. Thus, you should understand that even though things come and go, the nature of seeing neither comes nor goes. The same is true with all your other sense organs as well. Q: If I see an object, does something really exist within that focus of perception? A: No, nothing really exists within that focus of perception. Q: When there is sound, there is hearing. When there is no sound, is there still hearing? A: Yes, There is still hearing. Q: When there is sound, we say we hear, so how can there, logically, still be hearing without sound? A: In hearing, it does not matter whether there is sound or no sound. Since the nature of hearing is permanent, when there is sound there is hearing; and when there is no sound there is still hearing. Q: Who is the knower of hearing? A: It is one's own nature that is generally referred to as the knower of hearing. Q: What is wrong thinking, and what is right thinking? A: Thoughts of existence and non-existence are wrong thinking, while no thoughts of existence and non-existence are right thinking. Thoughts of good and evil are wrong thinking, while no thoughts of good and evil are right thinking. Also, thoughts of suffering and happiness, birth and death, acceptance and rejection, like and dislike, love and hate, etc., are all wrong thinking, while no thoughts of suffering and happiness, etc., are right thinking. Q: So what, in a nutshell, is right thought? A: In a nutshell, right thought means thinking only of Bodhi. Q: Can Bodhi be acquired? A: No! You cannot acquire Bodhi. Q: Since it cannot be acquired, how can one, reasonably. think only of Bodhi? A: To name Bodhi is false, because it cannot be described or possessed. It is neither in front nor in back of one who tries to acquire it, because it cannot be acquired or thought about. Only not thinking about it is true and right thought. Bodhi, then, is not a thought-object and, thus, there is no mind whatsoever anywhere. However, all the various kinds of non-thinking which have been touched upon accord with the needs of particular circumstances, being merely expedient terms; and even though different names are used expediently, there is no difference whatsoever in the substance. There is only no mind whatsoever dwelling nowhere at all. When this stage is reached, one is, quite naturally, liberated. Q: How can one perform the actions of the Buddha? A: Not to engage in or perform any action whatsoever is the Buddha's action. It is also called right action or holy action, which is, as I have said before, not acting with concepts of existence and non-existence, love and hate, etc. The chapter on the discipline of the Bodhisattva in the fifth volume of The Great Vinaya says: "The Holy Ones do not act like other sentient beings, nor do ordinary sentient beings act like the Holy Ones." Q: What is the right view? A: To perceive without perceiving any object whatsoever is the right view. Q: What does "to perceive without perceiving any object whatsoever" mean? A: Perceiving all sorts of things without grasping -- that is, not being clouded by the arising of any thought of love or hate, etc. -- is perceiving without any objects. If one can see without seeing any object whatsoever, that is using the Buddha-Eye, which is like no other eye. On the other hand, if one sees all sorts of things that cause thoughts of love and hate, etc., to arise, that is known as "perceiving objects" with ordinary eyes, and sentient beings have no other kind of eyes. This is true, likewise, with all of the other sense organs. Q: You said earlier that wisdom is the function of the Way of Sudden Enlightenment, but what is wisdom? A: If you understand that the nature of non-duality is voidness, then you are liberated. However, if you understand that the nature of duality is not void, then you are not liberated. Thus, wisdom is understanding what is right and what is wrong. It is also recognizing universal substance and its functions. The understanding of the voidness of duality is the substance of wisdom, while liberation, which is never allowing any thought whatsoever of existence or non-existence, good of evil, love or hate, etc., to arise, is known as understanding the function of the voidness of duality. Q: Where can one enter the doorway to this understanding? A: Through the perfection of charity (dana-paramita). Q: Buddha has said that the six paramitas are the action of the Bodhisattva path, so how can we enter the doorway to this understanding by practicing, as you have said, only the dana-paramita? A: People who are confused or deluded do not understand that the other five paramitas all evolve from the dana-paramita. Therefore, in practicing the dana-paramita, one also fulfills the practice of the other five paramitas. Q: For what reason is it called the dana-paramita? A: "Dana" means the perfection of charity. Q: What things can be given up in the name of charity? A: Clinging to thoughts of duality can be given up. Q: Just what does this mean? A: It means to give up clinging, in the name of charity, to thoughts of good and evil, existence and non-existence, love and hate, emptiness and fullness, concentration and non-concentration, pure and impure, etc. In the name of charity, give up all of them. Then, and only then, can you attain the stage of the voidness of duality, while, at the same time, letting neither a thought about the voidness of opposites nor about charity arise. This is the genuine practice of the dana-paramita, which is also known as absolute detachment from all phenomena. This is only the voidness of all dharma-nature, which means that always and everywhere is just no-mind. If one can attain the stage of no-mind everywhere, no form will be perceived, because our self-nature is void, containing no form. This, then, is true Reality, which is also called the wonderful form or body of the Tathagata. The Diamond Sutra says: "Those who have abandoned all forms are called Buddhas." Q: But the Buddha spoke about six paramitas, so how can you reasonably say that one paramita (the dana-paramita) can include the other five? Q: What are the three methods of study, and how can they be used equally? A: The three methods of study are discipline, meditation and wisdom. Q: Can you describe these methods of study: discipline, meditation and wisdom? A: Discipline is centered upon purity and non-defilement. Meditation is centered upon stilling the mind so that it is moved by no object whatsoever. Wisdom is reached when the knowing mind is agitated by no object, but yet does not hold any thought of being unagitated. Wisdom is reached only when the knowing mind is clear and pure but has no thought of being clear and pure. Wisdom is reached when you can discriminate between good and evil, as well as other dualities, but, grasping none if them, remain free. Finally, if you realize that the "substances" of discipline, of meditation and of wisdom, none of which can be possessed, are indistinguishable -- i.e., are of only one substance -- this, in itself, is equal to the three studies undertaken and completed separately. Q: If the mind dwells in purity, does it not, then, grasp the pure? A: When the mind dwells in purity, not allowing a thought of purity to arise, it is not grasping the pure. Q: If the mind abides in voidness, is it not, then, grasping the void? A: If you have a thought of voidness, that is grasping the void. Q: If the mind dwells in non-dwelling, is it not, then, grasping non-dwelling? A: If your mind is void of thinking, then there is no grasping. If you wish to recognize clearly the non-dwelling mind, then during your meditation just be aware that your mind does not think about any object or hold on to any dualities, such as good and evil, etc. Since past things are already past, you should not think about them anymore; and, thus, any thought about the past vanishes. This is known as being without the past. Furthermore, since future things have not yet arrived, you should neither seek nor wish for them; and, thus, any thought of the future vanishes. This is known as being without the future. Finally, since present things are already present, you should not grasp them nor allow a thought of love or hate to arise; and, thus, any thought about the present vanishes. This is known as being without the present. In summary, if no thought about these three time periods arises, then the three time periods do not exist. If a thought of moving arises, do not follow it; and the thought of moving will vanish. If a thought of dwelling arises, do not follow it; and the thought of dwelling will vanish. However, grasping at the thought of non-dwelling is abiding in non-dwelling. On the other hand, if you understand clearly that your mind does not abide anywhere whatsoever that is abiding, then you are neither abiding nor not abiding anywhere. If you understand clearly that your mind does not abide anywhere at all, then you are clearly seeing your Original Mind, which is also referred to as "clearly seeing the nature of seeing." Just this Mind, that abides nowhere at all, is the Mind of Buddha and the Mind of liberation, the Mind of Bodhi and the Mind of the Uncreate. It is also referred to as realizing that the nature of form is void. Finally, it is what the sutra calls "Attaining the patient endurance of the Uncreate." If you have not yet arrived at this stage, then you should dedicate yourself to the task, make a great effort and practice diligently. When you have succeeded completely, you will then know that you have come to the understanding of truth from your own self. You will then understand from a non-abiding mind -- that is to say, a mind dwelling neither upon the real nor the unreal. What is the unreal? Any thought of love or hate. What is real? Any thought without love or hate. Only a mind without thoughts of love or hate is void of duality. And it follows that when the mind is void of duality, liberation naturally ensues. Q: Does he who practices stilling the mind do it only while sitting in meditation? A: The practice of stilling the mind means not only doing it while sitting, but also while walking, standing or lying down and, uninterruptedly, during all other actions at all times. This is referred to as truly abiding in permanence. Q: The Vaipulya Sutra lists five kinds of Dharmakaya: (l) The Absolute Reality-Dharmakaya; (2) The Merit Dharmakaya; (3) The Dharma-Nature Dharmakaya; (4) The Infinite-Transformation Dharmakaya; and (5) The Voidness Dharmakaya. Which of these refers to one's own body? A: The awareness that mind cannot be destroyed is the Absolute-Reality Dharmakaya. The awareness that mind includes all things is the Merit Dharmakaya. The awareness that mind is no-mind is the Dharma-Nature Dharmakaya. The potentiality to spread the Dharma is the Infinite-Transformation Dharmakaya. The awareness that the mind is without shape or form and cannot be grasped is the Voidness Dharmakaya. If you understand this doctrine, you should also understand that there is nothing whatsoever to be attained. Knowing that there is nothing to be gained or attained is the realization of the Dharmakaya of Buddhadharma. If one harbors any thought whatsoever of gaining or attaining, he holds the wrong view and, being a person of overweening pride, is labeled heterodox. The Vimalakirti Nirdesa Sutra says: "Then Sariputra asked of the devakanya, 'What have you gained or attained that has given you supernatural powers?' The devakanya answered, 'Just because I have really neither gained nor attained anything whatsoever, I can be as I am. "' So if one thinks he has gained or attained something, he is, in Buddhadharma, known as a man of overweening pride. Q: The sutra speaks about both Universal Enlightenment and Wonderful Enlightenment. What is Universal Enlightenment and what is Wonderful Enlightenment? A: To realize that form is void is known as Universal Enlightenment. To realize the voidness of dualities is known as Wonderful Enlightenment. Also, to realize there is really neither enlightenment nor non-enlightenment is known as Wonderful Enlightenment. Q: Are Universal Enlightenment and Wonderful Enlightenment different or not? A: Actually, the two names are used only as an expedient, but, since their substance is the same, there is really no difference between them. Likewise, this mutual substantiality is true of all phenomena. Q: What does it mean when The Diamond Sutra says: "There is really no Dharma to expound, and this is really expounding the Dharma?" A: Since the substance of Prajna is absolutely pure and bright, not even a single thing can be attained. This is the meaning of "There is really no Dharma to expound". Also, the substance of Prajna is stillness, but it, nevertheless, includes functions as numerous as sandgrains in the Ganges; thus, it is aware of everything. This is known as "really expounding the Dharma". Therefore, it is said that having no Dharma whatever to expound is really expounding the Dharma. Q: What does it mean in The Diamond Sutra when it says, "If a virtuous man or woman receives, reads, holds in mind and recites this Sutra and is despised by other people, then this person, who was bound to suffer an evil destiny in retribution for his past sins, will now have his bad karma eradicated by the others' contempt"? Will he then attain Anuttara-samyak-sambodhi? A: He is just like a person who has not yet met a great and learned master. Even though his original mind is pure and bright, it is covered by evil karma, ignorance and the three poisons; and so it cannot manifest itself. Thus, he is held in contempt by others. Because he is shown contempt by others, he makes up his mind to seek the Tao of Buddha. Then the three poisons cannot arise, his ignorance is also destroyed and all evil karma vanishes. He recovers his original, bright, pure mind and never becomes confused again. So we can then say that he has found liberation and attained Anuttara-samyak-sambodhi. Q: What are the five eyes of the Tathagata, and what are their functions? A: The Tathagata's fleshly eye sees form as pure. The Tathagata's deva eye sees substance as pure. The Tathagata's wisdom eye sees all sorts of forms and can discriminate among them regarding their qualities of good or evil but, by not grasping, remains free. The Tathagata's Dharma eye sees formlessness. The Tathagata's Buddha eye neither sees nor does not see either form or formlessness. Q: What is the difference between the Mahayana and the Supreme Vehicle? A: The Mahayana is the Bodhisattva's vehicle, and the Supreme Yana is the Buddha's vehicle. Q: How can one practice to attain these vehicles? A: To practice the Bodhisattva's vehicle is simply Mahayana practice. After attaining the Bodhisattva stage, where there is no longer any need to practice, one arrives at the stage of no-practice, which is permanently still and deep and where there is neither increase nor decrease. This is called the Supreme Vehicle or the Buddha's Vehicle. Q: What is the meaning of the passage in The Mahaparinirvana Sutra which states, "More meditative contemplation than wisdom cannot separate one from ignorance, while more wisdom than meditative contemplation merely multiplies wrong views; thus, only with an equal balance of meditative contemplation and wisdom can there be liberation"? A: To discriminate among the various kinds of good and evil is wisdom, while, during such discrimination, never allowing thoughts of love and hate to arise -- and if they do, not being defiled by them -- is meditative contemplation. This is the functioning of meditative contemplation and wisdom in equal balance. Q Having neither words nor speech is referred to as concentration of mind, but can this concentration still take place even while one is speaking? A: When I spoke of concentration, I was referring to that deep and constant concentration, which is held both during speaking and non-speaking. Since the function of concentration is constant, it continues even while we discriminate among things and are speaking. If one uses the mind of voidness to see forms, then forms are void. Oppositely, if one uses the mind of voidness not to see forms and not to discriminate, the result is also void. This is true, likewise, of our senses -- seeing, hearing, feeling and cognition. Because our Self-Nature is void, it continues to be void everywhere and under all circumstances. Thus, because voidness is non-attachment, this non-attachment is identical with the sense functions. Bodhisattvas use this Dharma of Voidness to attain the stage of the Absolute. It is, therefore, identical with concentration and wisdom and is also known as liberation. But allow me to give you a vivid example to end your doubt once and for all. When a bright mirror illuminates things, does its brightness fluctuate? No! When the mirror does not illuminate things, does its brightness fluctuate? Again, no! And why not? Just because the brightness of the mirror possesses no feeling or sensation of illumination. Therefore, during illumination, the brightness does not fluctuate. Again, why not? Since the mirror has no feeling or sensation, there is neither movement nor non-movement of its brightness. We can use the sun as another example. The light of the sun illuminates the world. Does its light fluctuate when it is shining? No! Does its light fluctuate when it is not shining? Again, no! And why not? Since the light has no feeling or sensation when it illuminates, it, therefore, shines or does not shine, all the while never fluctuating. Wisdom is illumination, while concentration of mind is no fluctuation whatsoever. All Bodhisattvas depend upon an equal balance of concentration and wisdom to attain perfect Enlightenment. Thus, it can be said that a perfect balance of wisdom and concentration is liberation. Finally, let me emphasize, in using these examples, that although to have no feeling in the meditative concentration of mind means to be without worldly feeling, I do not imply that it means to be without holy feeling. Q: What, then, is worldly feeling, and what is holy feeling? A: If you give rise to a thought of duality, that is worldly feeling. On the other hand, if you do not give rise to a thought of duality, that is holy feeling. Q: What does it mean when the sutra says: "The sound of discussion has ceased, and the role of thought is done"? A: Words are used to manifest the doctrine. After understanding the doctrine, then, words are useless. The doctrine is void, voidness is the Tao, and the Tao is without words. This is the meaning of "The sound of discussion has ceased". Since the real meaning of the doctrine does not give rise to a single thought or perception and because no thought or perception arises, it is unborn. Furthermore, because it is unborn, then the fundamental nature of all forms is void, Next, since the fundamental nature of all forms is void, then everything in the world is non-existent. Finally, since all things are fundamentally non-existent, "the role of thought is done". Q: What is the meaning of "The immutability of the Absolute is maintained in every state"? A: "The immutability of the Absolute is maintained in every state" means, simply, that it is both never moved and forever unmoving. This is the mind of Bhutatathata, which is also referred to as Suchness. In reality, all Buddhas in the past attained Enlightenment by means of the principle of immutability. Also, all Buddhas in the present have attained Enlightenment in this way. Finally, all Buddhas in the future who practice in this way will attain Enlightenment. The Vimalakirti Nirdesa Sutra says: "It has ever been like this with all Buddhas; and it will ever be like this with Maitreya as well as with all sentient beings, because none of them can ever be dissociated from their Buddha-Nature." Q: Is the awareness that form is void and that the worldly is holy the same as Sudden Enlightenment? Q: Just what is the meaning of "form is void and the worldly is holy"? A: The mind defiled is the same as form, but the mind undefiled is void. Similarly, the mind defiled is worldly, but the mind undefiled is holy. To say it in another way, the Absolute Void mysteriously exists as form, but because its "form" cannot be grasped, it is void. Here, when we refer to "void", we are speaking of the voidness of Self-Nature. We are not referring, in this instance, to the voidness which occurs after the destruction of form. Similarly, when we refer to "form", in this context, we mean the form of the void-nature of the Absolute Void; but we are not speaking, in the usual sense, of form that creates other forms. Q: What does it mean when the sutra speaks of "the Dharma of the exhaustible and the inexhaustible"? A: The nature of both the exhaustible and the inexhaustible is void. Thus, when there is no further creation of forms by the senses -- such as seeing and hearing -- then that is the end, or exhaustion, of all things in the world. In contrast, the untreated substance, with functions as numerous as the sandgrains in the Ganges River and which manifests all kinds of activities in response to circumstances, is inexhaustible and includes all dharmas. Also, in the original substance there is no decrease in spite of its infinite manifestations. This, then, is the meaning of "the Dharma of the exhaustible and the inexhaustible". Q: Are the exhaustible and the inexhaustible the same or different? A: Their substance is identical; but when spoken of, they seem to be different. Q: Since their substance is identical, how can they appear to be different when spoken of? A: Their "sameness" is the substance of speech, and speech is the function of their substance, which is used appropriately to respond to all kinds of circumstances. Therefore, we say that their substance is identical; but when spoken of, they appear to be different. To illustrate this let's use a vivid example. Although there is only one sun in the sky, when it is reflected in many containers of water below, there appears to be one sun in each container. Each reflected sun is perfect and complete like the real sun in the sky; and since there is no difference among them, it can be said that they are of one substance. However, when each sun is spoken of relative to its own container, it appears to be different from all the others. Therefore, we can say that even though their substance is identical in reality, they, nevertheless, appear to be different when pointed out and spoken about separately. Finally, all the reflected suns are perfect, and there has been no decrease of the original sun in the sky. Therefore, original substance is spoken of as being inexhaustible. Q: One sutra says that nothing is born and nothing dies. Which dharmas are not born and which dharmas do not die? A: Evil dharmas are not born, and good dharmas do not die. Q: What dharmas are good and what dharmas are evil? A: Evil dharmas are produced by the flowing or agitated mind. Non-defilement and stillness do not increase evil dharmas. When one arrives at the stage of non-defilement and non-flowing stillness, then the mind is perfectly pure and bright, deep, still and permanent, neither creating nor destroying. This is truly the condition of no birth and no death. Q: What does it mean in The Sutra of Bodhisattva Discipline when it says: "When sentient beings practice the Buddha's Discipline, they assume the position of all Buddhas, which is the same as Great Enlightenment, thus becoming authentic sons of all Buddhas"? A: The Buddha's Discipline in the Buddhadharma is the practice of pure mind. If one can make up his mind to practice the conduct of purity of mind without attachment, he can be said to have received the Buddha's Discipline. All Buddhas in the past engaged in pure-mind practice and consequently attained the Tao of Enlightenment. If one can engage in the practice of pure mind without attachment, then his merit is equal to and no different from the merit of the Buddhas; and he can be said to have gained the position of all Buddhas. If one attains enlightenment like this, it is the same as the enlightenment of a Buddha; and, therefore, it can be said that his state is completely identical with the Great Enlightenment. He, then, becomes the authentic son of all Buddhas. Finally, if one engages in pure-mind practice, then the mind is pure and everything else is pure. Such a one is then called the son of all Buddhas as well as the authentic son of all Buddhas. Q: Concerning the Buddha and the Dharma, which preceded the other? Did the Buddha come first or did the Dharma come first? If the Buddha came first, upon what Dharma did the Buddha depend to attain enlightenment? A: In one way of speaking, the Buddha precedes the Dharma, but succeeds it in another. Q: How can this reasonably be so? A: If you are speaking about the Dharma of stillness and voidness, then the Dharma precedes the Buddha. However, if you are speaking about the Dharma of words, then the Buddha precedes the Dharma. Furthermore, we can observe that because all Buddhas depend on the Dharma of stillness and voidness to attain Perfect Enlightenment, the Dharma must, logically, precede the Buddha. However, the opposite of this is, also, logical and reasonable, when the sutra says: "The Dharma is the teacher of all Buddhas." After attaining Perfect Enlightenment, they begin to expound on the twelve divisions of the Sutras in order to convert all sentient beings. In turn, all sentient beings depend upon the teaching of the Dharma to practice and to attain Enlightenment, which is an example of the Buddha preceding the Dharma. Q: What is the meaning of transmitting Dharma through words but not through Tsung (Ch'an)? A: When words are different from action, then what is transmitted though words is not conveyed through action. Q: How can Dharma be transmitted through both Tsung and words? A: When words and action are not different, then Dharma can be transmitted through both Tsung and words. Q: What is meant when the sutra says: "To arrive is not to arrive, while not to arrive is to arrive"? A: Just to speak of arriving (at intuitive understanding) but not yet having arrived in action is known as "arriving that has not yet arrived". Having arrived in action but not speaking about arriving is known as "not arriving that has arrived". However, arriving in both speech and action is known as Complete Arrival. Q: The Buddhadharma neither rejects the existent (activity) nor clings to the transcendental (non-activity). What does this mean? A: From the beginning of his practice to generate his Bodhi-Mind until he attained Perfect Enlightenment under the Bodhi tree and, finally, even to the moment he entered the forest and sat under the twin Sala trees to enter Parinirvana, the Buddha never abandoned a single dharma or a single sentient being. This is the meaning of not rejecting the existent. On the other hand, even though he engaged in the practice of no-mind, he did not have even a single thought about the attainment of no-mind. Also, even though he concentrated on voidness, he did not have even a single thought about the attainment of voidness. Finally, even though he contemplated the nirvana of Bodhi, which is without form and without activity, yet he did not have even a single thought about the attainment of no-form and no-activity. This is the meaning of not clinging to the transcendental. Q: Does hell exist or not? A: One can say that there really is a hell, and one can also say that there really is no hell. Q: What reason is there to say that hell both exists and does not exist? A: All evil karma is created by the mind, and, thus, hell may be held to exist. However, if the mind is without defilement and void of self-nature, then hell may be held not to exist. Q: Do suffering sentient beings have the Buddha-Nature? A: Yes! All of them have the same Buddha-Nature. Q: This being the case, do they have their Buddha-Nature when they enter hell? That is, does their Buddha-Nature enter hell along with them? A: No, it does not enter hell along with them. Q: So, just at that very moment when they enter hell, where is their Buddha-Nature? A: It also enters hell along with them. Q: Since it enters hell along with them and since those sentient beings encounter suffering, does their Buddha-Nature also encounter suffering? A: Even though their Buddha-Nature enters hell with sentient beings, only those sentient beings themselves bear the suffering. Their Buddha-Nature never encounters any suffering. Q: Since it enters hell along with sentient beings, why doesn't their Buddha-Nature encounter any suffering? A: All sentient beings grasp at thought and form; and since they have form, they are, therefore, subject to creation and destruction. The Buddha-Nature does not possess form, and, having no form is, thus, in its nature, void. Because its nature is perfectly void, it, therefore, is subject neither to creation nor destruction. Let me use a vivid example to illustrate this. A person who tries to store up firewood in the sky is really trying to do the impossible, so this delusory firewood is inevitably destroyed by itself. However, the sky itself, which is permanent, can never be destroyed. The sky is void like the Buddha-Nature, while the firewood is subject to creation and destruction like sentient beings. Therefore, we can say that even though they enter hell together, only sentient beings encounter suffering, while the Buddha-Nature does not. Q: The eight consciousnesses are turned into the Four Wisdoms, and the Four Wisdoms are bound together to become the Three Bodies. Which Wisdoms are the transformation of multiple consciousnesses? Which Wisdoms are the transformation of only one consciousness? A: Eyes, ears, nose, tongue and body -- these five consciousnesses together become Perfecting Wisdom. The sixth consciousness alone becomes Wonderful-Observing Wisdom. The seventh consciousness alone becomes Equality-Nature Wisdom. The eighth consciousness alone becomes Great-Perfect-Mirror Wisdom. Q: Are these four kinds of wisdom the same or different? A: Their substance is the same, but their names are different. Q: Since their substance is the same, why are there different names for it? Also, if it is true that these differentiating names are used only as expedients, then what is it that -- even though it is, in reality, just one substance -- is, nevertheless, named Great-Perfect-Mirror Wisdom? A: Deep and still void that is bright and completely motionless -- this describes Great-Perfect-Mirror Wisdom. When no object causes a single thought of love or hate to arise, then duality is void. This voidness of duality is Equality-Nature Wisdom. When all the sense organs and all objects can discriminate and be discriminated, but no confused thought arises to limit freedom -- this is Wonderful-Observing Wisdom. When all the sense organs experience in a correct way with no discrimination of form -- this is Perfecting Wisdom. Q: In relationship to the binding together of the Four Wisdoms to become the Three Bodies, which Wisdom alone becomes one Body, and which Wisdoms come together to form one Body? A: Only Great-Perfecting-Mirror Wisdom becomes the Dharmakaya. Only Equality-Nature Wisdom becomes the Sambhogakaya. However, Wonderful-Observing Wisdom and Perfecting Wisdom combine to become the Nirmanakaya. These Three Bodies are set up as names and differentiated as concepts only as an expedient to assist those who do not yet understand. If one readily understands this doctrine, the expedient concept of "Three Bodies" is not necessary, for he clearly comprehends that their nature and substance are formless and that they are rooted neither in impermanence nor in non-impermanence. Q: How can one see the True Body of Buddha? A: Neither to see anything as existent nor as non-existent is to see the True Body of Buddha. Q: What does it mean when you state that neither to see anything as existent nor as non-existent is to see the True Body of Buddha? A: Since the idea of existence depends upon the idea of non-existence to be conceived of and since the idea of non-existence depends upon the idea of existence for its manifestation, then if, originally, the idea of existence is not conceived of, the idea of non-existence cannot be sustained. If it were separated from non-existence, where would existence come from? Existence and non-existence are interdependent; and since both of them cause each other, both of them relate to the endless round of birth and death. If one can detach himself from this duality of existence versus non-existence, then he perceives the True Body of Buddha. Q: If even the concepts of existence and non-existence have no validity, then how or where can the concept of the True Body of Buddha have validity? A: It can be conceptualized just because one asks about it. If no one asked about it, the concept of the True Body of Buddha would never arise again. It is just like a bright mirror that reflects objects that face it but reflects nothing if nothing is there before it. Q: What is the meaning of "never ever departing from the Buddha"? A: The mind that is free from the concepts of birth and death and that is still and silent in the face of things, so that it is forever motionless and void, is eternally with the Buddha. Q: What is the meaning of the Dharma of the Supramundane? A: It is merely mundane. Q: I asked about the supramundane. So why do you reply that it is mundane? A: Because the idea of the existent is set up by that of the non-existent, and the notion of the non-existent is made manifest by that of the existent. However, if originally the existent is not postulated, then the non-existent has nowhere from which to arise. Truthfully, the Real Supramundane is neither existent nor non-existent. This is the Dharma of True Activity. The Diamond Sutra says: "If one grasps the concept of Dharma, that is attachment to the false notion of an ego and a personality. In contrast, if one grasps at the concept of non-Dharma, that also is attachment to the false notion of an ego and a personality. Therefore, one should not hold either the notion of Dharma or of non-Dharma." This is really holding the True Dharma. If one can understand this doctrine and the Dharma of non-duality, then he is truly liberated. Q: What is meaning of "the Middle Way"? A: It designates the extremes. Q: I asked about the Middle Way, so why do you reply that it designates the extremes? A: The concept of the extremes is derived from that of the middle, and the concept of the middle is derived from that of the extremes. However, if originally there is no extreme, where would the middle come from? Thus, we talk about the Middle Way because we conceive of extremes; therefore, we know that the concepts of the Middle Way and the extremes are derived from each other and that both are impermanent. This is also true of form, feeling, conception, impulse and consciousness. Q: What are the five aggregates (skandhas)? A: When non-form grasps form and then follows form, this leads one to be born. This is the aggregate of form. Thereafter, the eight winds are embraced, which cause the accumulation of wrong thoughts and views, which are followed for pleasure and which lead one to be born. This is the aggregate of feeling. Then, using the confused mind to follow false thought, one allows conceptions to arise that lead one to be born. This is the aggregate of conception. Consequently, collecting and pursuing actions, one allows impulses to arise that lead one to be born. This is the aggregate of impulse. Finally, in uniform, pure substance a false thought arises that discriminates and grasps at false consciousness that leads one to be born. This is the aggregate of consciousness. The first aggregate relates to the body and objects, while the second, third, fourth and fifth aggregates relate to the mind. Q: What is meant when the sutra talks about "the twenty-five elements of existence"? A: This relates to the body undergoing future incarnations -- i.e., rebirths in the six conditions. All sentient beings have confused their minds in their present lifetimes, creating all sorts of karma; and later they must follow that karma to their rebirth, which is known as reincarnation. However, if one exists in the world with great ambition to practice the Absolute Liberation and to attain the Patient Endurance of the Uncreate, he will transcend the three realms forever, never again going through reincarnation. Rather, he will then attain only the Dharmakaya, which is nothing other than the Body of Buddha. Q: What are the different names of the twenty-five elements of existence? A: Their substance is one, but, depending on their functions, the twenty-five elements of existence are given different names, which are the ten virtues, the ten vices and the five aggregates. Q: What are the ten virtues and the ten vices? A: The ten vices are as follows: killing, stealing, carnality, lying, slander, coarse language, affected speech, cupidity, anger and perverse views. The ten virtues are quite simply defined as not engaging in the ten vices. Q: I am still not clear about the idea of "no thought", which you referred to earlier. Can you please explain it further? A: No thought means no mind grasping anything whatsoever. It is being without any view whatever, not even the thought of seeking something or not seeking anything. Having no thought means that in the face of any object or form, not even a single thought arises. This being-without-thought is called Real Mind. However, if one grasps the thought that this being-without-thought is the Real Mind, then it is not right thought but merely the wrong view. The sutra says: "Abandoning the six thoughts is True Thought." Again, the sutra says: "Virtuous ones abide in the Dharma of No Thought and obtain the golden color and the thirty-two characteristics of Buddha, which emit great, radiant light that illuminates the whole universe." If the merits thus gained are inconceivable and indescribable even by the Buddhas, then how much less can be known about them by the followers of other Vehicles! When the stage of no thought is arrived at, the six sense organs no longer grasp anything; and then the perception of all Buddhas is realized quite naturally. When this state is realized, it is called the Storehouse of the Buddhas and the Dharma, which includes all Buddhas and all Dharmas, because it is without mind. This same sutra says: "All Buddhas have become enlightened through this sutra." Q Since it is without mind, how is it possible to conceive of and realize Buddha-Perception? A: It is possible just because it is conceived of and realized without mind. A sutra says: "On original non-abiding all dharmas are based." The same sutra states further: "Take the example of a bright mirror. Even though there is no reflection in the mirror, yet it can manifest all forms." And just how is this possible? Just because the mirror's brightness is void, it can, therefore, manifest all forms. Similarly, if one can maintain no-mind, then false thoughts do not arise anymore, and the sense of an ego and a personality comes to an end. Only Absolute Purity remains, which makes one capable of boundless wisdom and Sudden Enlightenment. Sudden Enlightenment means liberation during this lifetime. Just as a lion-cub, from the moment it is born, is a real lion, likewise anyone who practices the Sudden-Enlightenment method has, from the moment he begins his practice, already entered the Buddha-Stage. Just as the bamboo-shoots growing in springtime are not different from the parent bamboo-shoots, because they are also empty inside, likewise anyone who practices the Sudden-Enlightenment method to rid himself suddenly of false thought abandons, like the Buddhas, the sense of an ego and a personality forever. Being absolutely deep, still and void, he is, then, without an iota of difference, equal to the Buddhas. Thus, in this sense it can be said that the worldly is holy. If one practices the Sudden-Enlightenment method, he can transcend the three realms during this lifetime. The sutra also states: "Do not annihilate the world; rather, transcend the world. Do not abandon defilements; rather, enter Nirvana. " If one does not practice the Sudden-Enlightenment method, he is just like a wild fox that, though following and pretending to be a lion, can never become a lion even after hundreds of thousands and endless kalpas of trying. Q: Is the nature of Absolute Reality truly void or not? If it is not really void, that suggests form; however, if it is truly void, that suggests annihilation. So upon which Dharma should sentient beings depend in their practice to attain Liberation? A: The nature of Absolute Reality is neither void nor not void. Since the "wonderful substance" of Absolute Reality is without shape or form and cannot be perceived, it is void. On the other hand, since in the "substance" of Absolute Reality functions are included. as numerous as the sandgrains of the Ganges, that respond to everything, it is also not void. A sutra says: "If one can understand this point, one can understand a thousand others. However, if one is confused about this point, then ten thousand delusions envelop him. In no-mind practice, all problems vanish." This is the wonderful way of Enlightenment. The sutra also says: "All kinds of views result from one Dharma." Why and how can all kinds of views result from one Dharma? All merit depends upon practice. If one cannot subdue his own mind and depends only upon words to attain Enlightenment, he will never achieve anything. He is just deceiving himself, and will fail on both counts. Everyone should be extremely careful, neither grasping anything nor letting the mind dwell anywhere. If one is able to practice like this, then he can enter Nirvana and attain the Patient Endurance of the Uncreate. It is also known as attaining the Dharma Door of Non-Duality, the absence of debate and the samadhi of single, perfect Wisdom, because it is absolutely pure. Being without ego and personality, knowing neither love nor hate, and having no need of the concept of self versus objects, the practicer realizes the voidness of all duality. This is the stage of absolute eloquence with no disputation whatsoever. This doctrine should not be transmitted to those who do not believe but should only be entrusted to those who share the same view and practice. You should see that someone having some potential is also totally sincere, possesses deep faith and will not backslide before expounding to him this doctrine directing him to Enlightenment. I have not written this thesis for fame or personal benefit, but only for those whose past conditions make it possible for them to receive it wholeheartedly. Thus, I follow all the Buddhas of the past who expounded a thousand different sutras and ten thousand different sastras appropriate for all kinds of sentient beings with all the different sorts of mental confusion. To follow this doctrine of Absolute Liberation, just do not form mental concepts about anything, allow the mind to dwell nowhere, always keep it still and void, and maintain it in a state of absolute purity; then Liberation will follow quite naturally. Furthermore you should not seek false fame, because the ordinary mind, like an overactive monkey, is unstill and constantly grasping so that words and acts are forever in conflict with each other. Seeking false fame, we deceive only ourselves and surely will fall into evil ways. Thus, to repeat, you should not seek false fame and happiness in this lifetime that could cause suffering forever. Every person should be very careful. Sentient beings must seek to save themselves and not wait for the Buddha to do it. If the Buddha could liberate sentient beings, then, since there have been Buddhas as numerous as all the dust motes that have ever existed, surely all of them would have been delivered by now. So why do we still loaf about in these realms of birth and death, unable to become Buddhas? Everyone should understand that sentient beings must save themselves. The Buddha will not do it. Make an effort! Practice yourself! Do not depend upon the power of other Buddhas. Therefore, the sutra says appropriately: "To seek and find the Dharma, do not depend upon the Buddha." Q: In the future, there will be many followers who hold mixed views. How can we live together with them? But first let go of ego and personality. This is the true Body of Buddha. And feel not defiled when abused. Samsara, Nirvana -- the same. I ignore petty weeds and grass. But the worldly do not understand. Will rid their minds of weeds and grass. With "no words" there's nothing there. I focus on the Doctrine each moment. I do not cheat in the world. So they all say I am foolish. That the worldly can't understand. Q: The Vimalakirti Nirdesa Sutra says: "If you wish rebirth in the Pure Land, you should first purify your mind." What does "purify the mind" mean? A: The mind is purified when it is absolutely pure. Q: But what does "the purified mind is absolutely pure" mean? A: When it is neither pure nor impure, but beyond both, it is absolutely pure. Q: But what does "neither pure nor impure" mean? A: Mind that dwells nowhere is pure; but when the pure mind is attained, there should be no thought of being pure, for that would no longer be pure. Also, conversely, when the impure is encountered, there should be no thought of being impure; and then there remains only the pure. Q: What is the meaning of "attainment" (of the goal) for a practicer of the Way? A: Only Absolute Attainment is attainment. Q: But what is "Absolute Attainment"? A: Neither attaining something nor not attaining something is Absolute Attainment. Q: What is the meaning of "neither having non-attainment nor not having non-attainment"? A: Neither grasping at form and sound outside nor allowing a false thought to arise inside is known as attainment. However, when there is attainment, there should be no thought of attainment; and this is known as having non-attainment. Furthermore, when non-attainment is realized, there should be no thought of non-attainment; and this is known as not having non-attainment. Q: What does "a liberated mind" mean? A: A mind that does not hold concepts of a liberated mind or a non-liberated mind is truly liberated. The Diamond Sutra says: "If even the Dharma must be cast aside, then how much more so the non-Dharma." Dharma, in this context, means existence, and non-Dharma means nonexistence. Thus, grasping neither the Dharma nor the non-Dharma is real, total liberation. Q: What does "attainment of the Tao" mean? A: Absolute Attainment is attainment of the Tao. Q: But what does "Absolute Attainment" mean? A: As I said before, neither attaining anything nor not attaining anything is Absolute Attainment. Q: What does "Absolute Voidness" mean? A: Having no concept of voidness or voidlessness is Absolute Voidness. Q: What does "concentration on Reality" mean? A: Having no attachment to concentration or non-concentration is Reality Concentration. The Diamond Sutra says: "There is no fixed Dharma called Supreme Enlightenment, and there is no fixed Dharma the Tathagata can expound." Another sutra also means this when it says: "In your practice of meditating on and perceiving the void, do not think you have attained the void." When engaged in the practice of concentrating your mind, do not ever think you have attained the highest realization; for even if one attains Pure Mind, there should never be any thought whatsoever of having attained it. When the goal of mind-concentration is realized, there is only purity and non-dwelling mind everywhere. If anyone has a thought of attaining something, that is a false thought; he is then bound by grasping thought, which cannot possibly be called Liberation. One who truly realizes this stage understands clearly in himself that he cannot grasp this attainment nor even hold a thought of having attained something. This is true self-mastery and Real Liberation. Finally, if one allows the thought of vigorous perseverance toward attainment to arise, that is false, not real, vigorous perseverance. However, if one does not allow a false thought to arise regarding vigorous perseverance, then that is real, boundless perseverance. Q: What does "the Middle Way" mean? A: The way that has neither a middle nor the two extremes is the true Middle Way. Q: But why do the two extremes exist? A: The two extremes exist because we have thoughts of this and that. Q: Just what do "thisness" thought and "thatness" thought really mean? A: If one is bound by sounds and forms, he is controlled by "thatness" thought; conversely, if one allows a false thought to arise inwardly, he is controlled by "thisness" thought. However, if one does not grasp outside forms, he is no longer controlled by "thatness" thought; and if he does not allow a false thought to arise inwardly, he is no longer controlled by "thisness" thought. This is known as abandoning the two extremes. If the mind does not contain the two extremes, then where can the middle be? When this awareness is attained, it is know as the Middle Way, the Way of Tathagata, the Way of Bodhi, and the Way of Liberation. The sutra says: "The void has neither a middle nor extremes, and it is the same with the Body of the Buddha." The voidness of all forms means that mind dwells on nothing whatsoever; and dwelling upon nothing anywhere implies the void nature of all forms. As such, the meaning of these two extremes is the same. This is known as the Dharma of the voidness of form as well as the voidness of non-form. If you do not accept the non-dwelling of mind anywhere, then, in your practice, you cannot realize Bodhi, Liberation, Nirvana, stillness, extinction, concentration in dhyana or the six paramitas. On the other hand, if you do accept the non-dwelling of mind anywhere, then, in your practice, you will realize Bodhi, Liberation, Nirvana, stillness, extinction, concentration in dhyana and the six paramitas -- all of which means seeing your Original Nature. Apropos of this, The Diamond Sutra says: "I have not gained even the least Dharma from Supreme Enlightenment; therefore, it is known as Supreme Enlightenment." Q: If one performs all sorts of good deeds and is completely successful in his practice, can it be reasonably predicted that he will realize his Original Nature? A: No, that cannot be predicted. Q: If one does not practice any Dharma at all, can it be reasonably predicted that he will realize his Original Nature? A: No, that, also, cannot be predicted. Q: If this is true, is there any kind of Dharma whatsoever that can be used to bring about such a prediction? A: When you practice non-dwelling on the existence of good deeds or the non-existence of good deeds, then the prediction will be fulfilled. The Vimalakirti Nirdesa Sutra says: "The form and the nature of all deeds are impermanent." Also, The Mahaparinirvana Sutra says: "The Buddha declared to Mahakashyapa, "All phenomena are impermanent and are void of self'." You need only have no-mind about anything -- neither in the realm of phenomena nor in the realm of non-phenomena -- and just this, in itself, is the fulfillment of the very prediction you asked about. Having no-mind anywhere whatsoever means being free of love and hate. Being free of love and hate means that when you see good things, you do not allow a thought of love to arise, which is known as the "no-love" mind. Conversely, when you see evil things, you do not allow a thought of hate to arise, which is known as the "no-hate" mind. A mind that is void of love and hate is also known as a non-defiled mind, wherein the voidness of all forms is realized. This is also known as the termination of all conditions, and the termination of all conditions means attaining Liberation naturally and spontaneously. Think deeply about all this. If there is anything that you do not understand, you should ask questions about it immediately. Don't waste time! If you all depend upon this teaching, that I have delivered, in your practice and still do not attain salvation, may I fall into the deepest hell! If I have misled or fooled you in any way, may I be seized and devoured by a tiger or a wolf! However, if you do not have faith in this teaching and diligently practice accordingly, I really don't know what may happen to you! Just remember this: once you have lost your human body, you might not acquire another one for ten thousand kalpas. Therefore, you should understand how to use your present opportunity and make a determined effort to attain Liberation. When Master Hui-Hai arrived in Chiang-Hsi Province, he first went to pay a visit to Master Ma Tsu. Ma Tsu asked: "Where have you come from?" Hui-Hai answered: "I have come from Great Cloud Temple, which is in Yüeh Chou." Ma Tsu asked: "What is your reason for coming here?" Hui-Hai answered: "I have come to seek the Buddhadharma. " Ma Tsu replied: "You do not regard or cultivate your own store of treasure, but, instead, you have left your home and gone wandering. However, I have nothing at all here, so how can you hope to seek the Buddhadharma in this place?" Then Hui-Hai prostrated himself and asked:"What and where is Hui-Hai's own treasure-store?" Ma Tsu answered: "Just that one there who just asked this question is your own treasure-store, and it is perfect and complete for you to make use of when you attain mastery. So why on earth are you futilely seeking anything outside?" Suddenly, on hearing this, Hui-Hai attained Great Enlightenment, instantly recognizing his own Original Mind. Then he fully prostrated himself, placing his head at Ma Tsu's feet, to show his deep and sincere gratitude. From that moment on, the Master served Ma Tsu for the next six years. Then, because his original teacher had become quite old, he returned to his own temple in Yüeh Chou to serve him. During that time, Master Hui-Hai concealed his real ability, appearing to be halting in his speech somewhat foolish, but he wrote his sastra entitled Entering the Tao of Sudden Enlightenment. Later, Hsüan Yen, his Dharma nephew, stole Hui-Hai's sastra from the temple and took it and presented it to Ma Tsu, who, after reading it, proclaimed to his assembly, "There is now, in Yüeh Chou, a Great Pearl (Ta-Chu), whose luster radiates everywhere and who is free and has gained self-mastery with no obstacles." It came about that one monk in the assembly knew that the Master's family name was Chu (the same sound as the word for pearl) and informed the others, who then, together, went to Yüeh Chou to pay their respects to and follow Master Hui-Hai. Thenceforth, the master was called Ta-Chu (Great Pearl). Once Master Hui-Hai, addressing his disciples, said: "I do not understand Ch'an; and I really do not have a single Dharma that I can disclose to anyone. Therefore, it is not necessary to trouble you by having you stand here for a long time; so, everybody, please go take a rest." During that period, gradually more and more students, wishing to learn more, came from many different places and enquired about the Dharma day after day. The Master, accordingly, answered all their questions, his power of speech being totally confident and unhindered. At one point, a company of Dharma Masters who had come to meet with Hui-Hai stated: "We have a question for you, Master. Would you please give us an answer." The Master replied: "The moon is reflected in this deep pool and can be apprehended by yourselves only." The Dharma Masters asked: "What is the Buddha?" The Master replied: "Just look into that clear pool right in front of you. If that is not the Buddha, who is it?" All of them were mystified. After a long silence, one monk spoke up again, asking: "What Dharma do you speak to convert people?" The Master replied: "I have not one single Dharma to speak to convert people." Another monk asked: "Is this the customary method of all you Ch'an Masters?" Immediately the Master asked: "And just what Dharma do you speak to convert people?" The monk answered: "I expound The Diamond Sutra ." The Master asked: "And just how many times have you expounded it?" The monk answered: "Over twenty times." The Master asked: "And this Sutra was spoken by whom?" The monk exclaimed: "Surely, this Ch'an Master is playing with me! Wouldn't it be absurd not to know that the Sutra was spoken by the Buddha!" The Master replied: "But that very Sutra states: 'If someone says that the Tathagata expounds this Dharma, he is slandering the Buddha! Really, he does not understand at all what I am saying. On the other hand, if someone says that this Sutra is not expounded by the Buddha, he is slandering the Sutra.' Would you please try to explain this." The monk could give no answer. Then, after awhile, the Master continued: "The Diamond Sutra says: 'He who sees me by outward appearances and sees me in sound treads the heterodox path and cannot perceive the Tathagata.' Would please tell me who the Tathagata is?" The monk answered: "Now I'm completely confused!" The Master retorted: "Never having been enlightened, how can you say you are only now confused?" The monk asked: "Would you please explain this Dharma to me?" The Master asked: "Since you have expounded The Diamond Sutra more than twenty times, how can you not understand who the Tathagata is?" The monk prostrated himself before the Master and asked again for an explanation. The Master said: "'Tathagata' means the Suchness of all Dharmas. This you should not forget!" The monk replied: "Oh, yes! The Suchness of all Dharmas!" The Master retorted: "You say, 'Yes! ', but that is not correct." The monk replied: "But it clearly says so in the Sutra, so how can you say I am not right?" The Master asked: "Are you Suchness?" The monk replied: "Yes, I am Suchness." The Master asked: "Are that piece of wood and that stone Suchness?" The monk replied: "Yes, they are Suchness too." The Master asked: "Then is your Suchness and the Suchness of the wood and the stone the same Suchness?" The monk replied: "Yes, they are not different." The Master asked: "Then what is the difference between you and the wood or stone?" The monk could not answer, and, after a short time, he sighed and said: "It is very difficult to debate with such a superior master!" Then, after a long silence, he asked: "How can the Great Nirvana be realized?" The Master replied: "Merely by not creating any karma that binds you to the Wheel-of-Birth-and-Death." The monk replied: "How is the karma of birth-and-death created?" The Master replied: "To seek the Great Nirvana, to be attached to purity and to disdain impurity create the karma of birth-and-death. Also, realizing and clinging to attainments create the karma of birth-and-death. Finally, not letting go of the stage of relative thinking creates the karma of birth-and-death." The monk asked: "How can we realize Liberation?" The Master replied: "Since originally you have never been bound, there is no use in seeking to become unbound or liberated. If both function and action are clear and direct, then all things are equal." The monk responded: "A Ch'an Master like you is very rare, indeed!" Then the group of Dharma Masters who had come with questions made obeisance to the Master and left. Once an attendant of the Master asked: "If the Mind and Buddha are one, which is truly the Buddha?" The Master answered: "Since you have doubt about what the Buddha is, can you point out what the Buddha is not?" The attendant did not answer. The Master said: "If you understand this completely, then everything is all right everywhere; however, if you do not understand it, then nothing is all right anywhere." Once a Vinaya Master named Fa-Ming asked: "Do most Ch'an Masters fall into the void?" The Master replied: "It is only you who fall into the void!" Fa-Ming, shocked, asked: "Why do you say I am the one who falls into the void?" The Master replied: "The Sutras and the Sastras are merely words, written with ink on paper -- just empty contrivances! Creating words and phrases of the Dharma based merely on something one has heard is also empty. Thus, if you grasp at and are attached to written or spoken words and phrases of the Teaching, you will, without doubt, fall into the void." Fa-Ming then asked: "And, Ch'an Master, do you also, fall into the void?" The Master replied: "No, I do not fall into the void." The Master replied: "All words and phrases (of the Dharma) are produced by Wisdom, the great function of which appears right before us. So where is there any void to fall into?" Fa-Ming replied: "So, I assume from this that if there is someone who has not grasped the meaning of every single Dharma, then he cannot be a Hsi-Ta (Siddham)." The Master replied: "It seems that you not only fall into the void, but you also use wrong words and terms!" Fa-Ming's face turned red, and he angrily asked: "Just what is my error?" The Master replied: "If you do not even understand what Chinese word is used to express whatever Sanskrit word, how can you ever hope to expound the Dharma?" Fa-Ming asked: "Would you please just point out my error." The Master replied: "You do not seem to understand that 'Hsi-Ta', the Chinese word for the Sanskrit word 'Siddham' has different meanings, using the same tone." Fa-Ming realized his error at once, but he still remained angry. Continuing, Fa-Ming asked further: "It is said that the Sutras, the Sastras and the Vinaya were all spoken by Buddha. So if one reads, recites and practices according to the Teachings, why then can he not see his own nature?" The Master replied: "A sane lion bites a man, but a crazy dog bites a piece of clay! The Sutras, the Sastras and the Vinaya are the functions of Self-Nature, while reading, reciting and practicing them are merely the nature of dharmas (phenomena)." Fa-Ming asked: "Did Amitabha Buddha have parents and a family name?" The Master replied: "Kausika was Amitabha Buddha's family name. His father's given name was Superior-Moon and his mother's was Exceeding-Beauty." Fa-Ming asked: "And from just what sutra do these facts come?" The Master replied: "From The Collection of Dharanis." Fa-Ming paid reverence humbly and withdrew. Once a Tripitaka Master asked: "Does the Bhutatathata (Absolute Reality) ever change?" The Master replied: "Yes, it does change." The Tripitaka Master retorted: "You, Venerable Ch'an Master, are wrong!" The Master then asked the Tripitaka Master: "Does the Bhutatathata exist or not?" The Tripitaka Master answered: "Yes, the Bhutatathata does exist." The Master replied: "So if you say it does not change, then you are just an ordinary, worldly monk. Doubtlessly, by now you must have heard that the lowest vices can be changed into the highest virtues, the three poisons into the three cumulative disciplines, the six consciousnesses into the six supernatural powers, all the defilements into Bodhi, and the most abysmal ignorance into the highest wisdom. Thus, if you say that the Bhutatathata does not change, then you, a Tripitaka Master, are really a heterodox-sect follower." The Tripitaka Master responded: "If you put it that way, then I have to admit that the Bhutatathata does change." The Master retorted: "But if you, indeed, hold that the Bhutatathata does change, that is also a heterodox view." The Tripitaka Master asked: "Ch'an Master, you just said that the Bhutatathata does change, but now you say it does not change. How can that be?" The Master responded: "If one sees his own nature clearly-which, like Mani-Jewels, can manifest itself in different colors-then he is correct in saying that the Bhutatathata both changes and does not change. In contrast, however, if one has not seen his own nature, he will, on hearing that the Bhutatathata changes, grasp at the idea of mutability. Also, oppositely, he will, on hearing that the Bhutatathata does not change, grasp at the idea of immutability." The Tripitaka Master concluded: "Now I really understand what is meant when it is said that the Southern Ch'an Sect is truly unfathomable." Once a Taoist priest asked: "Is there any Dharma that surpasses the forces of nature?" The Master answered: "Yes, there is!" The Taoist priest asked: "Just what is the Dharma that surpasses the forces of nature." The Master answered: "The power of understanding that fathoms the forces of nature." The Taoist priest asked: Does vitality constitute the Tao?" The Master answered: "Vitality is vitality. The Tao is the Tao." The Taoist priest asked: "If this is the case, are they two different things?" The Master answered: Understanding does not come from two different persons." The Taoist priest inquired further: "Then what is wrong and what is right?" The Master responded: "When the mind is turned by external things, that is wrong; but when external things are turned by the mind, that is right." Once a Vinaya Master came and asked: "In your practice of the Tao, do you still work hard?" The Master answered: "Yes, I still work hard." The Vinaya Master asked: "How hard?" The Master retorted: "If I'm hungry, I eat. If I'm tired, I sleep. " The Vinaya Master asked: "Do all other people work hard just as you do?" The Master answered: "No, not in the same way." The Vinaya Master asked: "Why not?" The Master answered: "While they are eating, they are not really eating due to too much thinking. While they are sleeping, they are not really sleeping due to too much mental agitation. Therefore, they do not work in the same way I do." The Vinaya Master, on hearing this, fell silent. Once a certain Bhadanta, Yun Kuang, asked: "Do you understand the meaning of birth?" The Master answered: "Since we do not know the meaning of death, it is useless to talk about the meaning of birth. If you really understand birth, then you know, based on the Dharma of no-birth, that everything is unborn. Also, by not holding to any Dharma of separate birth, you must conclude that during birth there is, in reality, no birth." Bhadanta Yun Kuang asked: "If one has not yet seen his own self-nature, is he somehow lacking it or just unable to look at it?" The Master answered: "If one has not yet become aware of his own self-nature, that does not mean he is without self-nature, because perception, as such, is that very nature. Without that nature there would be no perception. Consciousness, also, is that nature; therefore, it is called the nature of consciousness. Clear understanding, also, is that nature; therefore, it is called the nature of clear understanding. Furthermore, because it can produce all dharmas (phenomena), it is also known as the Dharma-Body. The Patriarch Asvaghosa once observed: 'All the so-called dharmas (phenomena) are, in reality, the mind of sentient beings; for when the discriminating mind comes in to being, then various conceptions (dharmas) come to be. In contrast when the discriminating mind ceases to be, then these various conceptions, as well as their names, cease to be.' However, deluded people do not understand this. The Dharmakaya (Dharma-Body) has no form, but it assumes different forms according to the needs of sentient beings. Thus, some say that green bamboo is the Dharmakaya and that the fragrance of yellow flowers is Prajna. If green bamboo really were the Dharmakaya, then the Dharmakaya would merely be like wood or grass. Thus, a person eating bamboo shoots could say that he was eating the Dharmakaya. If one talked like this, would there be any possible benefit for anyone in recording it? Such a person is really quite confused about the Buddha, who is right before him, as well as about his substance, which permeates all things; and so he seeks him elsewhere, outside, in error, kalpa after kalpa. Therefore, to practice the Tao correctly, one should do it while walking, standing, sitting and lying down, all the time remaining in the Tao. Finally, one becomes capable of moving always at ease in any direction or in any situation since all things are included in the Dharma." Bhadanta Yun Kuang inquired further: "Can the Great Void create spiritual wisdom? Does Real Mind still cling to ideas of good and evil? Can a person possessing deep desire embrace the Tao? Can a person grasping ideas of right and wrong go beyond the discriminating mind? Can a person who comes into contact with and clings to his surroundings ever develop completely focused concentration? Can one who remains alone, in isolation, ever achieve wisdom? Does one who is overbearing to others really have a strong ego? Can one who grasps at concepts of existence and non-existence ever realize wisdom? Are those who depend on words to seek attainment or those who seek the Buddha in austere practices or those who hold the Buddha to be different from the mind or those who hold the mind to be Buddha really in harmony with the Tao? Please, Master, reply to each of these questions." The Master replied: "The Great Void cannot create spiritual wisdom. Real Mind does not cling to ideas of good and evil. A person full of desire has shallow potential. Minds clinging to ideas of right and wrong are narrow and obstructed. Those who come into contact with and cling to their surroundings rarely achieve focused concentration. The overbearing person just continues his delusion of possessing a strong ego. People who grasp at ideas of existence and non-existence are merely foolish. Those who seek attainment through mere words are grasping and deluded. All those who seek Buddha through austere practices are just confused. Those who abandon their minds to seek the Buddha are nothing but demons!" Bhadanta Yun Kuang then observed: "If it is really, as you say, like this, then there is really absolutely nothing whatsoever." The Master responded: "No! It is just absolutely the Bhadanta, not 'absolutely nothing whatsoever'." On hearing this Dharma, the monk felt very happy. Then he made obeisance and withdrew. Once the Master spoke in the Dharma hall as follows: "Very fortunate, indeed, is the person who has nothing to do! Most people working hard or behaving in an affected manner, are in reality, only bearing locked cangues about their necks and slowly sinking into hell. They are constantly on the run, day and night, announcing loudly to the world that they are practicing Ch'an, learning the Tao and spreading the Buddhadharma. If they are of this sort, there is no need to listen to them; for they are, heedlessly and ceaselessly, only following sounds, names and forms. When will they ever take a rest!? "Once I heard Master Ma Tsu of Chiang-Hsi say: 'Your own treasury includes everything you need. Be Free! Master yourself! There is no need to seek anything outside yourself.' From that time on, I understood that making use of one's own treasury and enjoying it at all times and in all places are the only true happiness. Remember, there is neither a single thing that can be grasped nor a single thing that can be rejected. Just do not view a single thing as being born or dying. Just do not view a single thing as coming or going. Then, in all ten directions throughout the universe, there will not exist even a single atom that will not belong to your own treasury. Just carefully and steadily perceive your own Mind! Then the one substance of the Precious Three permanently manifests itself. About this there is no doubt! So do not endlessly intellectualize and seek elsewhere. Originally the nature of the mind is pure and spotless. Therefore, The Avatamsaka Sutra says: 'All dharmas are neither created nor destroyed. If one can comprehend this, then all Buddhas are permanently manifested before him.' Also, The Vimalakirti Sutra says: 'Observe the Body of Reality and, likewise, observe the Buddha.' So if you do not allow a single thought to arise based on sounds, names and forms and if you do not have a discriminating mind about anything whatsoever, then you will have nothing to do. You will have no more problems. Now, don't just stand there! Go and take good care of yourselves!" One day the whole assembly gathered before the Master to hear him speak. Afterwards, they did not break up as usual but remained standing there in front of him. The Master said: "Why don't you all go take a rest. I've finished speaking. But if you still have some doubts or questions, you should resolve them now. Don't allow wrong views to arise that waste your time and energy." At that moment a monk named Fa-Yuan asked: "What is the Buddha? What is the Dharma? What is the Sangha? What is the One Substance of the Precious Three? Would you please enlighten us?" The Master said: "The mind is the Buddha, and you should not use the Buddha to seek the Buddha. The mind is the Dharma, and you should not use the Dharma to seek the Dharma. The Buddha and the Dharma are not different, and their harmony creates the Sangha. This, then, is the substance of the Precious Three. A sutra says: 'Mind, Buddha and sentient beings are not different from one another. When one purifies one's own body, speech and mind, it is said that a Buddha appears in the world. In contrast, when these three become impure, a Buddha is extinguished.' For example,when you are angry, you are not happy; and when you are happy, you are not angry. Yet there is only one mind, not two different substances. Originally, there is only Suchness; then the outflow appears while Suchness remains unchanged. It is like a snake transforming into a dragon without changing its scaly covering. Also, it is like a sentient being transforming his mind into Buddha Mind without changing his Original Nature. Thus, the Original Nature is pure and is not created by practice. If one thinks he can realize his Original Nature through practice and attainment, he is just a man filled with overweening pride. The True Void is without clinging or obstacles, is inexhaustible and is without beginning or end. Those with keen faculties and profound roots are enlightened suddenly and awakened to Anuttara-Samyak-Sambodhi. This is Supreme Enlightenment, perfect and universal. Mind without form is the Wonderful Form Body (Sambhogakaya), and formlessness is the reality of the Dharmakaya. The fundamental void substance, which is the primary nature of all forms, is as boundless as the infinite body of universal space. The Dharmakaya is adorned by ten thousand meritorious acts. Also, the Dharmakaya is the fundamental reality of all things. Names are created and applied to it expediently according to circumstances. The wisdom it possesses is inexhaustible; thus it is called the Inexhaustible Store. It generates and creates all things; thus, it is called the Fundamental Store of Dharma. It is the source of, contains, and fully endows infinite wisdom and knowledge. Thus, it is called the Store of Wisdom . Finally, because all things return to Suchness, it is called the Store of Tathagata. A sutra says: "'Tathagata' Means the Suchness of all dharmas. Every dharma in the universe, no matter whether it is manifesting itself or going into dissolution, must ultimately return to Suchness." Once an Upasaka asked the Master: "I am a lay-Buddhist. Would you please be kind enough to distinguish among the Vinaya Master, the Dharma Master and the Ch'an Master and tell me which one surpasses the other two?" The Master responded: "The Vinaya Master teaches the Dharma Store of Vinaya, transmitting the essence of the Teaching as expounded by preceding masters. He understands the rules of discipline thoroughly -- what is permitted, what is prohibited, who maintains, who transgresses, and who upholds the rules. Furthermore, he knows who follows the tradition and the rule of asking the Karmananda the question three times to generate the first cause of the Four Fruitions. If he were not an old master with seeds planted in his previous existence, as well as practicing much virtue and having much experience throughout his life, how could he ever reach this stage? "The Dharma Master sits on the Lion's Seat to spread Dharma. His power of speech is unhindered as, before the Assembly, he reveals the Three Wheels and expounds the wonderful Dharma Door of Prajna. If he did not hold a dragon's or an elephant's position and power, how could he ever do this? "The Ch'an Master knows how to select what is important and how to understand directly the source of Mind. He is skillful at revealing or covering up, according to each person's potential, the equality of the Absolute and the relative so that one might realize the Tathagata suddenly. Furthermore, by pulling out by the roots one's clinging-vine of birth-and-death, he enables him to attain samadhi immediately. If such a Master were not deeply concentrated in meditation, then, in preaching the Dharma according to what is appropriate for the moment, he would be completely at a loss. "Thus, although the three studies (Vinaya, Dharma and Ch'an) are different, presenting the Dharma according to the ability and circumstances of each person, nevertheless, one must come to understand the profound, wordless meaning that includes all in One Vehicle. Therefore, The Lotus Sutra says: 'In all Buddha-Lands in the ten directions, there is only the One-Vehicle Dharma.' There are neither two nor three except as expediently spoken by the Buddha when he uses conventional names and relative terms in order to guide sentient beings." Then the Upasaka exclaimed: "Master, you understand the Dharma profoundly. Your powers of speech, analysis and argument are unobstructed." Then the Upasaka asked the Master: "Are the three doctrines of Confucianism, Taoism and Buddhism the same or different in essence?" The Master answered: "For one who has a great capacity for understanding they are the same, but for a person of limited potential, who clings to views, they are different. All of them arise from the one fundamental Self-Nature, but due to different potentialities and views among people, they become three doctrines. However, remember that a person remains confused or becomes enlightened based upon his own efforts, not upon whether the teachings are different or the same." Once a Master of the Dharmalaksana (Yogacara, or Mere Consciousness) Sect asked: "Would you please, Ch'an Master, point out to me what mind you use to practice the Tao?" The Master answered: "I have no mind to use and no Tao to practice." The Dharmalaksana Master asked: "If there is really no mind to use and no Tao to practice, why do you always gather people together and urge them to learn Ch'an and practice the Tao?" The Master answered: "I'm just an old monk, and I do not even have a plot of land as tiny as the point of an awl where I can gather people together. Furthermore, I do not even have a tongue, so how can I urge people to do anything whatsoever?" The Dharmalaksana Master retorted: "Ch'an Master, you are telling me a direct lie right to my face!" The Master asked: "How can I, without a tongue, ever tell a lie?" The Dharmalaksana Master said: "1 really do not understand what you are saying!" The Master replied: "I myself, also, do not understand." Once an abbot who expounded The Avatamsaka Sutra asked the Master: "Why don't you admit that these green bamboo shoots are the Dharmakaya and those fragrant yellow flowers are Prajna?" The Master answered: "The Dharmakaya is formless but responds to the green bamboo shoots and, accordingly, takes shape. Likewise, Prajna is non-discriminating but responds to the yellow flowers and the green bamboo shoots and, accordingly, takes shape. However, this does not mean that the yellow flowers and the green bamboo shoots possess either Prajna or the Dharmakaya. Therefore, one sutra says: 'The true Dharmakaya is like space, responding to things and, accordingly, taking their shapes like the reflection in the water.' If the fragrant yellow flowers were really Prajna, then Prajna would be the same as things. If the green bamboo shoots really were the Dharmakaya, then they could not be used. However, green bamboo shoots can be used, but how do you use the Dharmakaya? Do you understand?" The Avatamsaka Master responded: "No, I do not understand." The Master explained: "If one has become aware of his own Nature, whether he understands or does not understand is all right; for he speaks according to the requirements of a situation and is not hindered by ideas of right or wrong. In contrast, if one has not become aware of his own Nature, then, when he speaks of green bamboo shoots, he grasps at the concept of green bamboo shoots. Similarly, when he speaks of fragrant yellow flowers, he grasps at the concept of fragrant yellow flowers. Then, when he speaks of the Dharmakaya, he grasps at the concept of the Dharmakaya, which then becomes a hindrance. Similarly, when he speaks of Prajna, he does not really have any knowledge of it. Thus, everything he says falls into dispute." At this, the Avatamsaka Master paid reverence to the master and departed. Once someone asked the Master: "If one practices the Dharma by just using his mind alone, when will he attain liberation?" The Master answered: "If one practices the Dharma by using his mind alone, that is just like using mud to wash away dirt. The great functions of profound and wonderful Prajna, originally itself without birth, appear right before us without regard to any fixed time." Again, someone asked: "Do worldly people have access to this sphere?" The Master responded: "If one see his own Nature, he is no longer a worldly person. If one is suddenly enlightened about the Supreme Vehicle, he has transcended both the worldly and the holy stages. Only a deluded man talks about worldly and holy. The enlightened man transcends both samsara and nirvana. While the deluded man talks about action and basic principles, the enlightened man talks about the Great Function without limits. The deluded man seeks to obtain or attain something, while the enlightened man neither seeks, obtains nor attains anything whatsoever. The deluded man yearns for attainment in some distant kalpa in the future, while the enlightened man perceives the nature of all things suddenly and instantaneously." Once an expounder of The Vimalakirti Sutra observed: "The Vimalakirti Sutra says: 'The six teachers of the heterodox views are all your teachers. They have left home and, therefore, they are your teachers. If they fall, you should follow them and, also, fall. If someone supports you, he should not be thought to have gained any blessings. If someone makes offerings to you, he will fall into the three evil ways of existence. Slander the Buddha, destroy the Dharma, forget the Sangha!! This is the best way, and if you do not follow it, you can never attain the stage of liberation. However, if you do follow this path, you will partake of the right food.' Ch'an Master, please explain clearly the meaning of this passage." The Master explained: "Since one's delusions arise from the six sense organs, they are called the six teachers. Believing that one can seek the Buddha outside of the mind is a heterodox view. To get something as a gift cannot properly be called a blessing. If even a single thought arises about receiving offerings, you will fall into the three evil ways of existence. Slandering the Buddha just means you no longer grasp the Buddha. Destroying the Dharma just means you no longer grasp the Dharma. Not entering the Sangha just means you no longer grasp the Sangha. When you no longer clutch at the idea of the attainment of liberation, then, and only then, freed from all obstructions and grasping, do you realize that inherent Wisdom and its functions have manifested themselves, suddenly and instantaneously, right before your very eyes. If one can understand this profound Dharma, he will acquire the wonderful food of Joy-in-the-Dharma." Once a monk asked: "If someone is asked about the Buddha and just answers 'Buddha!' or is asked about the Dharma and just answers 'Dharma! ', is this a legitimate method or not?" The Master responded: "Such a person is just like a parrot which learns to speak from people but has nothing to say for itself because it has no inherent wisdom. This method can be likened to using water to wash water and fire to burn fire -- unnecessary, ridiculous and completely meaningless!" Once a man asked: "Are words and speech the same or different?" The Master answered: "They are one. When words become sentences, they are called speech. If one is skilled in debate, his speech can be likened to a great, ceaselessly flowing river. His eloquence, so lustrous and beautiful, can be likened to perfect pearls poured from a vessel into a circular silver tray. Thus, to speak eloquently is to penetrate, interpret, and reveal all meanings in the boundless ocean of doctrine. In contrast, the individual word represents the mind, which harbors profound meanings within itself and manifests its wonderful form outwardly. However, even though it is surrounded by the ten thousand things, it remains undisturbed and unconfused; and, even though interwoven with turbidity, it remains clear and bright. Thus, even the Emperor Chi was humbled by his minister's ability with words. Thus, even Manjusri always praised the powerful words of Vimalakirti. How can this be understood by ordinary people?" Vinaya Master Yuan observed: "You Ch'an Masters very often say that Mind is the Buddha. That is not correct! Even Bodhisattvas at the first stage of their development toward Buddhahood can attain the first stage of being Buddhas in one hundred worlds simultaneously; and those at the second stage of their development toward Buddhahood have ten times more power than the first. Would you, please, try to manifest your power?" The Master asked: "Acarya! are you worldly or holy?" Vinaya Master Yuan answered: "I am worldly." The Master responded: "This being the case -- that you are merely a worldly monk -- how can you ask this sort of highest-level question? A sutra says: 'Your thinking, being inverted, will never correspond with the Wisdom of Buddha'." Vinaya Master Yuan declared further: "You Ch'an Masters always say that if one is enlightened regarding the Tao, he can attain liberation in his present lifetime. You are wrong!" The Master asked: "If a person does good his whole life, but, at some point, suddenly steals something, is that person a thief in his present lifetime?" The Vinaya Master answered: "Yes, he is!" The Master asked: "Then why cannot one who, suddenly, clearly perceives his own nature, after a lifetime of dark ignorance, attain liberation instantly?" The Vinaya Master answered: "He cannot in his present lifetime! He must pass through three asamkhyeya kalpas before he can attain liberation." The Master asked: "Can three asamkhyeya kalpas be calculated?" The Vinaya Master retorted loudly and indignantly: "How can you possibly think it is correct reasoning to draw a comparison between thievery and liberation?" The Master retorted: "Acarya! You obviously do not understand the Tao, but please do not become an obstacle to others who are striving to understand. Since your own eyes are not open, don't become so upset, angry and hateful when others do see." At this, Vinaya Master Yuan, becoming even angrier, retorted as he was leaving: "You're just a confused, unreasonable, fuddled old muddler, with no Tao whatsoever." The Master, getting the last word, retorted: "That one who is just now leaving is your only Tao!" A Master of The Samatha-Vipasyana (Chinese: Chih-Kuan) Doctrine asked: "Ch'an Master, can you distinguish among the various kinds of demons?" The Master answered: "The arising of a single thought in the mind is the heavenly demon, while the non-arising of a single thought is the demon of the five aggregates. A mind in which there are both the arising and the non-arising of thoughts is the demon of defilement. These conditions and demons can never exist in my Right Dharma." The Samatha-Vipasyana Master asked: "What is the meaning of the concept of non-existence of the three time periods in the one Mind?" The Master answered: "The past mind is already past; the future mind has not yet come; the present mind does not stay. Besides the minds of these three time periods, which mind do you employ for Vipasyana?" The Samatha-Vipasyana Master declared: "Ch'an Master, you seem not to understand The Samatha-Vipasyana Doctrine." The Master inquired pointedly: "Do you understand it yourself?! " The Samatha-Vipasyana Master asserted: "Yes, I do!" The Master responded: "The T'ien-T'ai Master Chih-Che said, 'Speak about Chih (ceasing thought) to remove Chih; speak about Kuan (clear awareness) to remove Kuan. To grasp Chih is to sink into the condition of birth-and-death; to grasp Kuan is to confuse the mind. Can one reasonably use the mind to achieve the cessation of mind (Chih) or stir up the mind to meditate on or observe clear mind (Kuan)? If one thinks he has a mind to observe, that is clinging to the view of permanence. On the other hand, if one thinks there is no mind to observe, that is clinging to the view of annihilation. Finally, if one thinks there is both existence and non-existence, that is clinging to the view of dualism. Would you, please, try to explain all of this clearly for me." The Samatha Vipasyana Master answered: "If all this is as you show it to be, I really have nothing whatsoever to say." The Master, concluding, asked: "Where, then, is Chih-Kuan?" Once a Master who expounded The Vimalakirti Sutra asked: "Our Sutra says, 'All Bodhisattvas spoke about entering the non-dual Dharma Door to Enlightenment, but Vimalakirti kept silent.' Is this the Perfect Absolute?" The Master responded: "This is not the Perfect Absolute. If that holy thought had really been exhausted, what more would there have been to say in the third roll of the Sutra?" The Vimalakirti Master asked: "Would you please explain why it is not the Perfect Absolute?" The Master responded: "The first roll of the Sutra teaches disciples how their minds ought to abide. The second roll reveals how each Bodhisattva in attendance spoke of his entrance into the non-dual Dharma Door, using words to disclose the wordless. Then Manjusri used no words or speech to disclose the wordless. Later Vimalakirti used neither words nor no words to disclose the wordless. He just remained still and silent, thus concluding all words about the wordless. In the third roll, his silence continues, and the function of the Absolute is thus made manifest. Do you understand?" The Vimalakirti Master said: "You have a strange way of explaining it." The Master responded: "It's really not so strange." The Vimalakirti Master asked: "Why not?" The Master responded: "I put it in just this way to help people eradicate all attachment. If you follow the meaning of the Sutra, it says that both the mind and forms are void, to enable people to see their Original Nature as well as to abandon false practice and embrace right practice. Thus, one should not dwell on thoughts and meanings about words and speech from ink and paper. Basically, just to understand the two words making up Vimalakirti's name -- 'Vimala' (pure) and 'kirti' (name) -- is enough. 'Vimala' (pure) represents the Original Substance, while 'kirti' (name) represents the expression and traces of its function. From the Original Substance arise the traces and expression of function, and from these traces we return to the Original Substance. However, since there is, in truth, a non-duality of substance and function, the Original Substance and its expression and traces are not different. Therefore, the Ancients concluded, 'Even though the Original Substance and the traces and expression of its function are different in name, yet the Inconceivable, from which they both proceed, is just one. However, even that One is, in reality, not one!' Thus, if you really understand the meaning of the two words -- 'Vimala' (pure) and 'kirti' (name) -- you would know that it is useless to discuss the Absolute versus the Non-Absolute. Without a front there is no back. Without a beginning there is no end. Without 'Vimala' (pure) there is no 'kirti' (name). So the only purpose of this teaching is to demonstrate to all sentient beings the inconceivable liberation that comes from recognizing their Original Nature. However, those who do not yet see their own Original Nature will never be able to comprehend this doctrine." A monk once asked: "Since all dharmas are void, the nature of consciousness must, also, be void. Just as a bubble, once burst, can never re-form again, so the present body, once dead and nothing remaining, is never reconstituted nor does it ever live again. What, then happens to consciousness when it disperses?" The Master answered: "The underlying substance of a bubble is water; but when the bubble bursts, you cannot say that the water no longer exists. Similarly, the underlying substance of the body is our fundamental nature. So when the body dies, how can you say that its fundamental nature is annihilated?" The monk asked: "Since you assert there is such a fundamental nature, can you point it out?" The Master, in turn, asked: "Do you believe there was a T'ang Dynasty?" The monk replied: "Of course!" The Master asked: "Can you point it out?" The monk replied: "There was a real T'ang Dynasty, but I cannot point it out just now." The Master responded: "Right! But even though you cannot now point out the T'ang Dynasty, you cannot say there was no T'ang Dynasty. You yourself cannot see your own fundamental nature, but you cannot say, therefore, that it absolutely does not exist. At this moment you can only see that which is walking, standing, sitting, lying down, wearing clothes and taking food, but you do not recognize its essence clearly. If you try to prove the existence of the T'ang Dynasty now, one might judge you stupid and foolish; for if you try to point out the T'ang Dynasty now, it is just like trying to use your own fundamental nature to discover your own fundamental nature. Even after ten thousand kalpas, you'll never succeed! You are just like a man who cannot see the sun, but that does not mean there is no sun." Once a Master of The Ch'ing Lung Commentary asked: "The Diamond Sutra says, 'There is really no Dharma to teach, but this is called teaching the Dharma.' Ch'an Master, what is your explanation of this?" The Master responded: "The substance of Prajna is absolutely clear and pure, without a single thing that can be grasped. Thus, it is said that 'There is no Dharma to teach.' Also, because the substance of this still and void Prajna is fully endowed with functions as countless as the sandgrains of the Ganges, it knows everything. Thus, it is said to be 'teaching the Dharma.' This then, is the meaning of 'There is really no Dharma to teach, but this is called teaching the Dharma'." An Avatamsaka Master once asked: "Ch'an Master, do you believe that non-feeling beings or inanimate objects have Buddha-Nature?" The Master answered: "No I do not believe that non-feeling beings or inanimate objects have Buddha-Nature. If such beings or objects did indeed have Buddha-Nature, then a living person would be no better than a dead person. One sutra says, 'The Buddha-Body is the Dharmakaya. It is created through discipline and concentration, by the three insights, by the six supernatural powers and by all good Dharmas.' If it were the case that non-feeling beings and inanimate objects had Buddha-nature, then were you, Bhadanta, to die right now, you would automatically become a Buddha." A Dharmalaksana Master once asked: "Do you believe that to hold and recite The Prajnaparamita Sutra assures the most merit?" The Master responded: "No, I do not believe it. If such an action really had that much spiritual effect, then the remainder of the many rolls of all the other sutras could no longer be effective or be believed. Now let's look at it in another light. If a man shows his filial piety, he, naturally, gets both spiritual effect and merit; but there is no spiritual effect or merit whatsoever from his dead parents' white bones. Similarly, the sutra is made of paper with words recorded in ink; but the fundamental nature of words, as well as that of paper and ink, is void. So how can there possibly be any spiritual effect or merit from these objects in themselves? In reality, the spiritual effect comes from the mind of the one who recites the sutra. Thus, in this manner, it can properly be said that any spiritual power that manifests itself is a response from living beings. Just try putting a roll of the sutra on the table with no person about to hold and recite it. How can it possibly have any spiritual effect or response by itself?" A monk once asked: "How is one to understand the meaning of name and form, as well as speech and silence, so that there is neither front nor back?" The Master responded: "Since originally there is neither name nor form, when a thought arises how can there be a front or back? Because you do not know the original purity of all that has name and form, you then use false thought to establish both front and back, as well as speech and silence. Without the key of Wisdom, you cannot open the locked gate of name and form, which holds you back. If you cling to the idea of the Middle Way, then you have the defect of the Middle Way. Likewise, if you cling to the idea of duality, then you have the defect of duality. You do not know that the present manifesting functions are already the unequaled Dharmakaya. Thus, because they are worldly, all ordinary people experience the duality of delusion and Enlightenment, as well as gain and loss. Allowing a thought of creation and destruction to arise overwhelms and buries one's own genuine Wisdom. Breaking off defilements and seeking Bodhi just amounts to people's turning their backs on Prajna (Wisdom)." Once someone asked: "Why don't Vinaya Masters believe in Ch'an?" The Master answered: "The deep doctrine is difficult to comprehend, but the way of name and form is easy to practice. Thus, one who does not yet perceive his self-nature does not believe in it. One who sees his self-nature is called Buddha. Only one who recognizes the Buddha can achieve the position of Buddha. The Buddha is never far away from people, but people are always far away from the Buddha. By Mind only can Buddhahood be achieved. Deluded men seek it from words, while enlightened men realize it from their own minds. Deluded men follow the way of material cause and effect, while enlightened men understand that the mind is without form. Deluded men grasp at things and cling to ego, while enlightened men use their Prajna (Wisdom), which responds spontaneously and appropriately, as required. Foolish people grasp at the obstacles of existence and non-existence, while men of Wisdom have insight into their own Original Nature and understand that form is not an obstacle. Those who only speak eloquently, but dryly, about Wisdom just tire their jaws, while men of Great Wisdom, comprehending Mind, rest easily. When a Bodhisattva responds to things, things are illuminated; while a sravaka, because he fears the world, can only bedim his mind. Enlightened men, in daily life, do not wander from the Uncreate, but deluded men block out the Buddha, who is right before their very eyes." Once someone asked: "How can we attain supernatural power?" The Master answered: "The spirit of Self-Nature pervades everywhere, spreading quickly throughout the universe. Even mountains and rivers cannot hinder it, and it comes and goes without trace, covering infinite distances instantly. It can neither be burned by fire nor drowned by water. Foolish men, having no Wisdom, want to fly using the four-element body. A sutra says, 'Ordinary people cling to forms,' so the Dharma preached to them must be appropriate according to their capacities. Therefore, for them, the formlessness of Mind is spoken as the fine and wonderful Sambhogakaya. This formlessness is Reality, and the 'substance' of Reality is voidness. Hence it is called the Boundless-Void Body. Since it is adorned by all meritorious action, it is therefore also called the Dharmakaya of Merit. This Dharmakaya is the basis of all meritorious action. Even though various names have been employed reflecting its functions, actually there is only the pure, clear Dharmakaya." Once a man asked: "If we follow the Tao of One Mind, will all sorts of karma created in previous lives be eradicated?" The Master answered: "For one who has not yet had insight into his own Original Nature, the various sorts of karma created in previous lives cannot be eradicated. However, if one has had such insight into his Original Nature, then all sorts of karma will be dissipated, just as the sun illuminates and melts away frost and snow or just as a single spark of fire can spread, consume and completely wipe out a pile of firewood, even though it were piled as high as Mount Sumeru. His karma is like that firewood, and his Wisdom is like that fire." The same man asked: "How can we know when every sort of karmic hindrance has been wiped out?" The Master answered: "When you suddenly perceive your own Mind, you will at that moment understand the affairs of the past and those of the future as if they were right before your very eyes. All past and future, as well as present, dharmas will be perceived simultaneously. The Sutra says, 'All the dharmas known by your purified mind constitute the Bodhimandala, which is the totality of all Wisdom'." Once a practicer asked: "How can I abide in the right Dharma?" The Master answered: "One who seeks to dwell in the right Dharma is wrong, because the 'right' Dharma is neither right nor wrong." The practicer asked: "Then in what way can I become a Buddha?" The Master answered: "Just let not a single thought arise about abandoning any sentient being, and do not ever defile your own Self-Nature. The Sutra says, 'Mind, Buddha, and sentient beings are not different from one another!" The practicer answered: "So if I understand this, can I attain liberation?" The Master answered: "Since originally you are fettered, it is really quite useless to 'seek' liberation. The Dharma surpasses both words and speech, so there is no use seeking it in intricate sentences in books. The Dharma is without past, present and future; therefore, it is useless to seek it in the law of cause and effect. The Dharma transcends all things that possess form; therefore, you should not deny the phenomenal world in order to seek liberation." A monk asked: "What is Prajna?" The Master answered: "Just try to tell me what Prajna is not! " The monk asked: "How can we perceive our own Nature?" The Master answered: "That which does the perceiving is your own Nature, and without it there can be no perception." Again, the monk asked: "What is proper practice and how is it done?" The Master answered: "Just not defiling your own Self-Nature is proper practice. Just not deceiving oneself is proper practice. In line with such practice, when the great function of your own Nature is revealed, that is the unequaled Dharmakaya." Again, the monk asked: "Is there any evil in our own Self-Nature?" The Master answered: "Our own Self-Nature does not even contain any good!" Again the monk asked: "If it includes neither good nor evil, then how is the mind to be used?" The Master answered: "To employ the mind to use the mind is a great perversion!" In conclusion, the monk asked: "Then what is it and what should we do?" The Master answered: "There is nothing at all to do, nor is it anything whatsoever." Once someone asked: "If a person takes a boat out onto the ocean and the keel of the boat crushes and kills some shellfish, does that person bear the karma or does the boat bear it?" The Master responded: "Since both the person and boat have no mind to kill anything, there remains just you to bear the karma. Similarly, when violent winds topple a tree that kills someone, there is neither perpetrator to act nor victim to suffer. However, all sentient beings throughout the world, without exception, must bear suffering." Once a monk asked: "How can liberation be realized in a ksana (single thought-moment) through the influence of someone's feelings, pointing, speech and silence, moving eyes or raised eyebrows?" The Master answered: "There is nothing outside of Self-Nature. The use of this subtle mind, both in its movement and its stillness is truly wonderful! One who uses the True Mind, whether he speaks or remains silent, always manifests that truth. If one understands the Tao, then whether he is walking, standing, sitting or lying down, all resides in the Tao. However if one is ignorant and deluded about his own Self-Nature, then only ignorance and delusion spring forth." Again, the monk asked: "Ordinary people perceive dharmas according to words, names and meanings, but Manjusri Bodhisattva perceived that fundamentally all dharmas dwell in the non-dwelling void. Is just a great void, then, all there is?" The Master asked: "Do you fear a great void?" The monk answered: "Yes, I fear it!" The Master observed: "But for the one who understands that he fears it, it is not a great void." Finally the monk asked: "How can we understand that which mere words and speech cannot express?" The Master, in turn, asked: "While you are speaking, what is it that cannot be expressed by mere words and speech?" Ten Dharma Masters came and inquired of the Master: "Some sutra says that the Buddhadharma will be destroyed, but we do not know if that is possible. How do you feel about this?" The Master responded: "Worldly and heterodox people assert that the Buddhadharma can be destroyed, but the Two-Vehicle believers assert that it cannot be destroyed. In my 'right' Dharma, there is no place for these two opposing views. In relationship to that 'right' Dharma, it is not just worldly and heterodox people who do not understand, that have an almost insurmountable problem. Even those who faithfully follow the Two-Vehicle view but who have not yet arrived at the highest stage are just as badly off." Again, the Ten Dharma Masters asked: "Do the Dharma of truth, the Dharma of delusion, the Dharma of voidness, and the Dharma of non-voidness all have individual seed-natures?" The Master responded: "Even the Buddhadharma is without any seed-nature, but it assumes different forms according to the needs of sentient beings. If the mind clings to illusion, then everything is illusion. If there were even a single dharma that is not illusion, then illusion would be stable or real. If the mind is void, then all things are void. If there were even a single dharma that is not void, then the idea of voidness would have no meaning. When a person is deluded and confused, he grasps at phenomena (dharmas); however, when a person is enlightened, all phenomena are void. The various phenomena in the world are all void, just as all rivers are separate but merge into the one Ocean. Similarly, all saints and sages and holy ones can ultimately achieve Buddhahood. The twelve divisions of the Sutras, the five divisions of the Vinaya and the four Vedas are all fundamentally rooted in the One Mind. This One Mind is the source of all dharmas (phenomena) as well as the wonderful, fundamental basis of all Dharani. It is also called the Storehouse of Great Wisdom as well as Non-Abiding Nirvana. Although there are names without number for it, all of them specify and point to Mind." The Ten Dharma Masters asked finally: "What is illusion?" The Master answered: "Illusion is without fixed form or appearance; it is like a rapidly turning wheel of fire, like a mirage, like a dancing puppet, like sunbeams, like sky-flowers -- all unreal dharmas." The Ten Dharma Masters asked again: "What is the greatest exemplar of illusion?" The Master answered: "Mind is the greatest teacher and exemplar of illusion. The body is the great city of illusion. Name and form are the great array and nourishment of illusion. In all the worlds of infinite space, as numberless as the sandgrains of the Ganges, there is not even one single thing that stands or exists outside of illusion. Worldly people are not able to comprehend illusion and so are, everywhere and always, deceived by illusory karma. Sravakas fear the realm of illusion, so they enter Nirvana. Bodhisattvas, however, recognize that the names, forms and substance of all dharmas are illusion, and so they are not bound by any of these things whatsoever. The Buddha is the great teacher and master of illusion, who turned the great, illusory Dharma-Wheel, entered great, illusory Nirvana, transformed illusory birth-and-death into that which is neither birth nor death, and turned impure worlds, as numberless as the sandgrains of the Ganges, into the spotless, pure Dharmadhatu." A monk once asked: "Why do you forbid people to recite the sutras and say that their understanding of the words is like that of guests who do not understand the language?" The Master replied: "Because people are like parrots learning to imitate the speech of human beings without understanding the meaning or purpose of words. The sutras transmit the words and meaning of the Buddha; however, if you do not understand the Buddha's purpose and meaning and merely recite the words, then you too are just like a mimicking parrot. Therefore, I do not let people merely recite the sutras." Again the monk asked: "How can words and speech be separate from meaning?" The Master replied: If you speak like this, then you also are only learning to mimic others' words like a parrot." The monk asked again: "But since people and parrots speak the same language, why not just let people recite the sutras?" The Master replied: "Just listen attentively! The sutra clearly says, 'There is a meaning that transcends words when I speak. However, there are only empty words, without meaning, when worldly people talk.' So just understand that the real meaning is beyond words and that the Doctrine is beyond language. The Buddhadharma surpasses words, so how can one seek it from mere words or speech? Therefore, if one desires to generate his Bodhi Mind, he should just understand the meaning of the Dharma and forget the words. Having attained enlightenment about the true meaning of Reality, beyond words, he should then abandon the doctrines and teaching, just as the fisherman ignores his net after catching his fish, and the hunter disregards his trap after catching his rabbit." A Dharma Master once asked: "What do you think about the idea that, in Mahayana, reciting the name of the Buddha is Ch'an with form?" The Master replied: "Since even Ch'an without form is still not true Mahayana, how much less so is that with form. A sutra says, 'Since ordinary people are always attached to form, when spreading Dharma to them you should use an appropriate method'!" Again the Dharma Master asked: "People commonly wish to be reborn in the Pure Land. Is there really a Pure Land?" The Master replied: "A sutra says, 'If one wants to attain the Pure Land, then he should purify his own mind. If his mind is pure, then that very mind of purity is the Buddha's Pure Land.' If his mind is pure, then the Pure Land exists everywhere. Just as a prince who is born into the emperor's family must continue the authority of that family's imperial powers, so one who makes up his mind to become a Buddha creates causes for rebirth in the Buddha's Pure Land. On the other hand, if one's mind is impure, then impurity is everywhere; and, consequently, the Pure Land is unattainable. Just understand that purity and impurity proceed wholly from the mind and do not depend on any 'land' whatsoever." Again the Dharma Master asked: "I have often heard the Master speak of the Tao, but I know of no one who can perceive the Tao. Are you able to explain this?" The Master responded: "If one possesses the Wisdom-Eye, he can perceive the Tao." Again the Dharma Master asked: "I like the Mahayana very much, but how can I attain it successfully?" The Master responded: "Only by becoming enlightened. If you are not enlightened, you cannot attain the Mahayana." Again the Dharma Master asked: "How then can Enlightenment be achieved?" The Master responded: "Through attentive intuition." Again the Dharma Master asked: "Just what is this attentive intuition?" The Master responded: "It is like nothing else whatever." Again the Dharma Master asked: "Then is it absolute voidness?" The Master responded: "It is void without being absolute." Again the Dharma Master asked: "Then does it exist?" The Master responded: "It exists without form." Again the Dharma Master asked: "And if I cannot comprehend it, what then?" The Master responded: "If you cannot comprehend it, that is your own choice. No one has set any obstacles before you." Again the Dharma Master asked: "Does the Buddhadharma pertain to the three time periods?" The Master responded: "Perceived as formless, it is thus not external. Responding inexhaustibly to all things, it is thus not internal. Also, since there is no middle ground where it abides, it therefore cannot be attained in the three time periods." The Dharma Master declared: "Your answers are very perplexing. " The Master asked: "When you just said the word 'perplexing', was there anything internal or external about it?" The Dharma Master answered: "After considering it, I find that there is no trace of it within or without." The Master responded: "If there is no trace, then it is clear that all I have just said was neither perplexing, confusing, nor disordered." Continuing, the Dharma Master asked: "How can one achieve Buddhahood?" The Master responded: "Since one's mind is fundamentally the Buddha, it can in actuality achieve Buddhahood." Again the Dharma Master asked: "When sentient beings enter hell, does their Buddha-Nature go with them?" The Master in turn asked: "In just that moment when one is performing an evil act, is there any good in it?" The Dharma Master answered: "No, there is no good accompanying the evil." The Master observed: "Likewise, when sentient beings enter hell, their Buddha-Nature does not accompany them." Finally the Dharma Master asked: "Of what use is the Buddha-Nature, which all sentient beings possess?" The Master responded: "To engage in activity of the Buddha is to employ the Buddha-Nature. However, if you steal, you are using the nature of a thief. Also, if you act like a worldly sentient being, then you are using the nature of a sentient being. This Nature, which is formless and without distinguishing features, is differentiated and named according to form and function. One sutra says, 'All Buddhas and Aryas are discerned by their accordance with the Eternal Dharma'." Once a monk asked: "What is the Buddha?" The Master answered: "Besides mind, there is no Buddha." Again the monk asked: "What is the Dharmakaya?" Again the monk asked: "What is the meaning of the saying, 'The Great Sutra exists inside an infinitesimal particle of dust'?" The Master answered: "Wisdom is just that Great Sutra. One sutra says, 'There is a Great Sutra, equal in scope to a great chiliocosm, which nevertheless exists inside an infinitesimal particle of dust.' This particle of dust suggests the dust of one mind whereby a single thought arises. Thus it is said, 'In an infinitesimally small dust particle of the mind whereby one single thought arises are present as many gathas as there are sandgrains in the Ganges.' However, present-day people do not recognize this." Again the monk asked: "What is the City of the Great Principle, and what is the King of the Great Principle?" The Master answered: "The body is the City of the Great Principle, and the mind is the King of the Great Principle. One sutra says, 'If one has a great ability to listen, that is good for comprehending the meaning of the Great Principle but not good for speaking about it.' Words are as temporary as birth and death, but the meaning of the Great Principle is eternal, formless and beyond words. Beyond speech, beyond words is Mind, which is the Great Sutra as well as the King of the Great Principle. If one does not understand this, he is merely a person who has learned to speak by parroting words, having no real comprehension of their deeper meaning." Finally the monk asked: "The Prajnaparamita Sutra speaks about leading the nine kinds of sentient beings into nonresidual Nirvana. It says further, 'After they have been so led, not one of them in fact achieves final extinction or escapes suffering.' How are we to understand these passages of the Sutra to resolve the seeming contradiction? Most interpreters say that sentient beings really are led but that one should not grasp the forms of these beings. I have been in some confusion and had doubt about this for quite awhile. Can you please explain it clearly to me?" The Master answered: "The nine kinds of sentient beings exist, in full, in the physical body, which is created or materializes according to a person's actions (karma). Thus, ignorance produces an oviparously born being. Defilement produces a viviparously born being. Absorption in the love fluids produces a being born of moisture and humidity. The sudden arising of vehement emotion or overwhelming passion produces a metamorphous being. When we are enlightened, we are Buddhas. When we are ignorant, we are just worldly, sentient beings. The Bodhisattva, thought after thought, never separates himself from sentient beings; and since he understands that the substance of the mind is void, that in itself is known as and called 'the conversion and delivery of all sentient beings.' Thus, the wise man converts and delivers himself and thereby imperceptibly converts and delivers all other sentient beings from either reincarnation or extinction. This then is the meaning and resolution of the seemingly contradictory passage in The Prajnaparamita Sutra, which states that even though the nine kinds of sentient beings are led to non-residual Nirvana, not one of them, in fact, achieves final extinction." A monk once asked: "Is it so that words and speech are mind?" The Master responded: "Words and speech are causes and conditions; they are not mind." Again the monk asked: "Without causes and conditions, what is the mind?" The Master responded: "Without words and speech, there is no mind." Again the monk asked: "If without form, words, and speech there is no mind, what then is mind?" The Master responded: "The mind is without form or attributes. It is neither separate from words and speech nor not separate from them. The mind is permanently clear and still and is used for self-mastery. The Patriarch has said, 'If one realizes that mind is really no-mind, then he really understands the Dharma of Mind'." A monk once asked: "What is the meaning of 'the balanced study of meditation (dhyana) and wisdom (prajna)'?" The Master responded: "From meditation wisdom arises, and wisdom returns to meditation. They are just like water and waves, which are in reality one substance without distinction. This is known as 'the balanced study of meditation and wisdom.' One who leaves home (a monk) should not seek words or cling to concepts. Walking, standing, sitting, and lying down -- all are the great functions of your own Nature. In what way are you not responsive to the Tao? Go and be at peace! If you are not constantly being pulled about by or following outside influences and forces, then your own Nature, like permanently pure, deep water, continues to be forever clear and calm. So, everybody, attend to and take care of your own Nature."